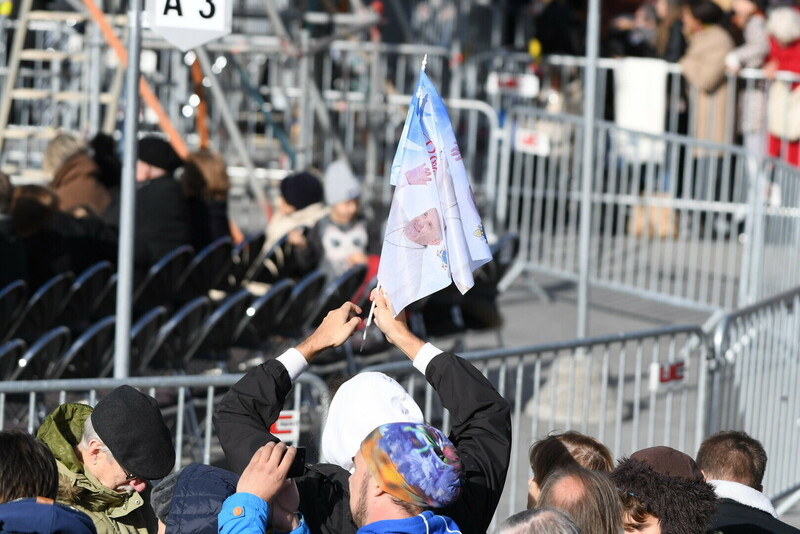 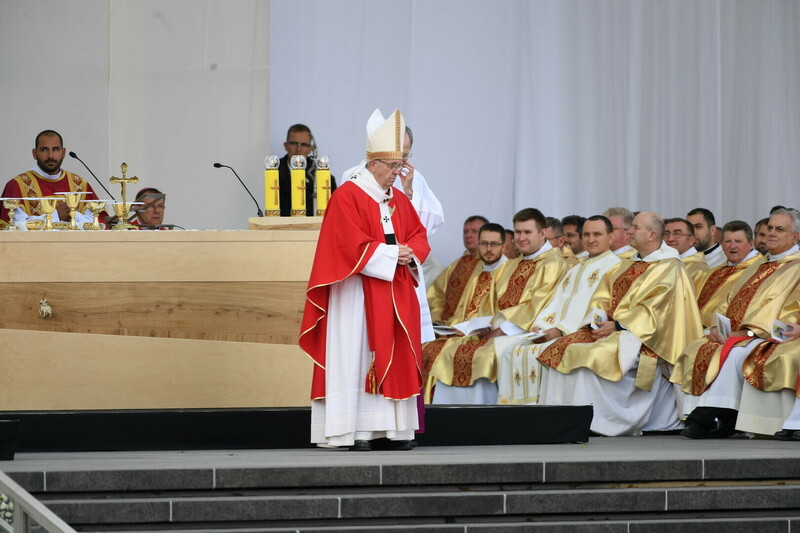 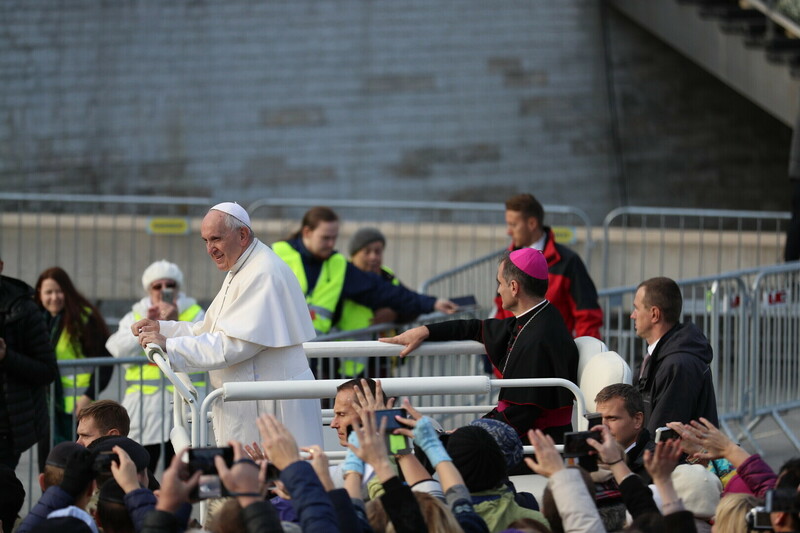 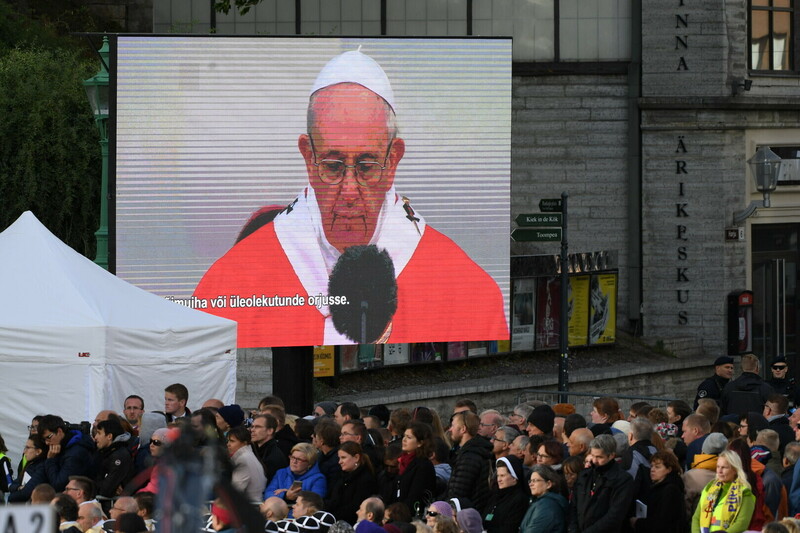 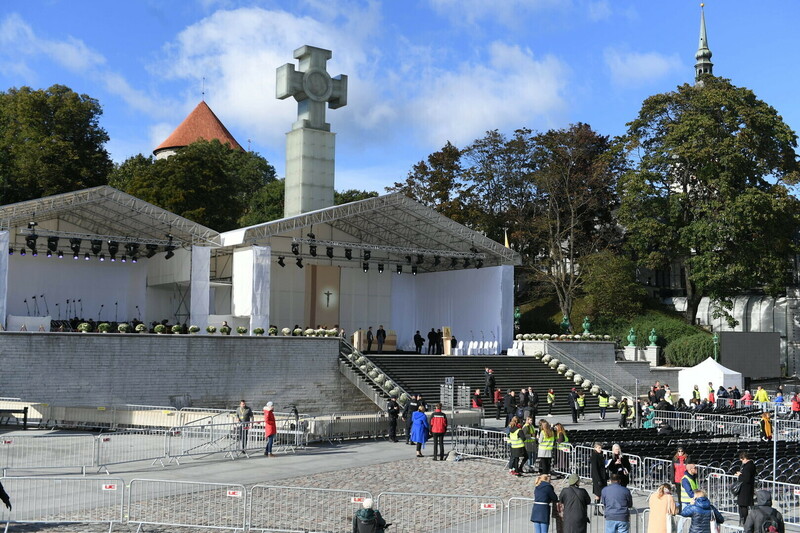 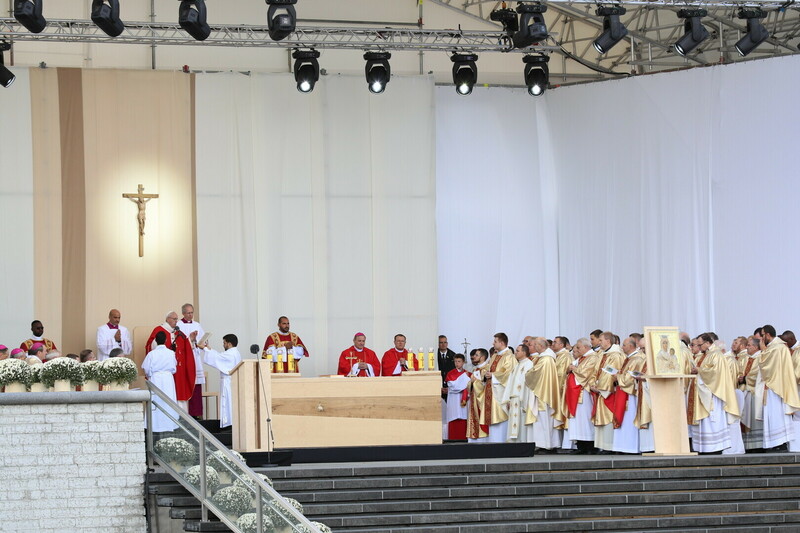 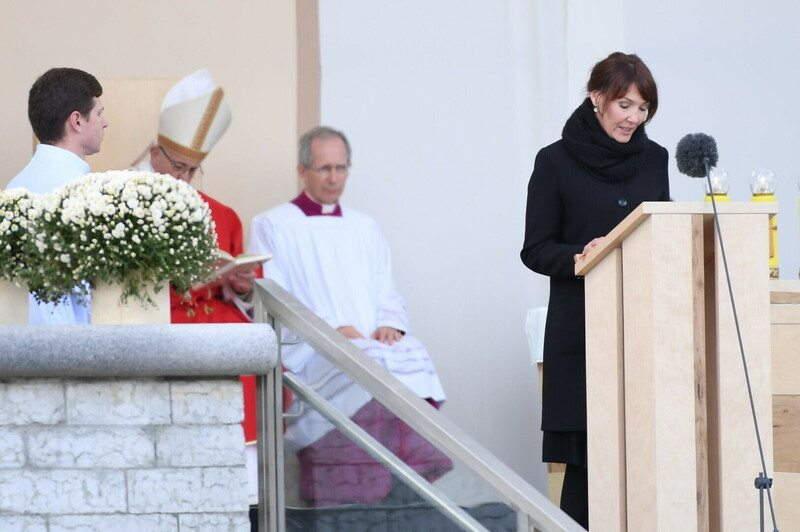 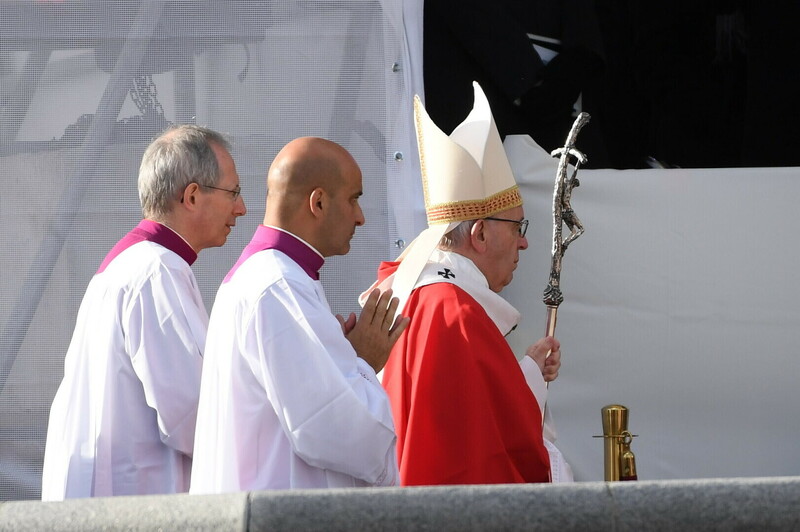 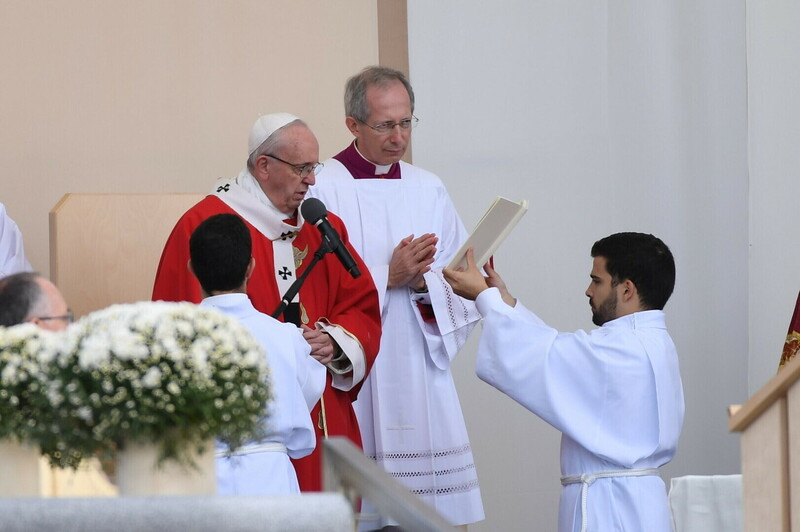 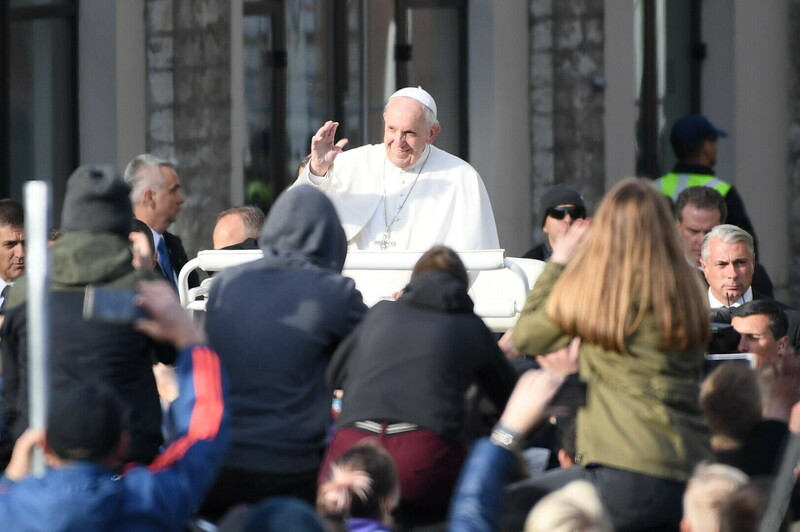 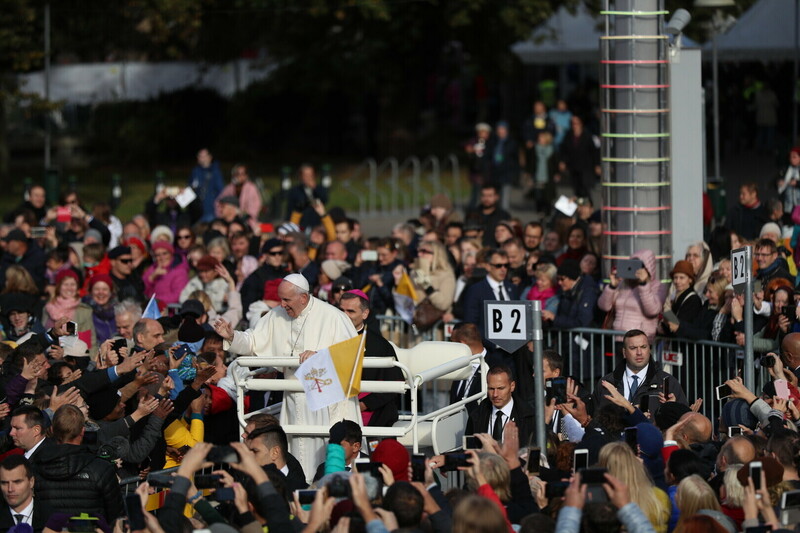 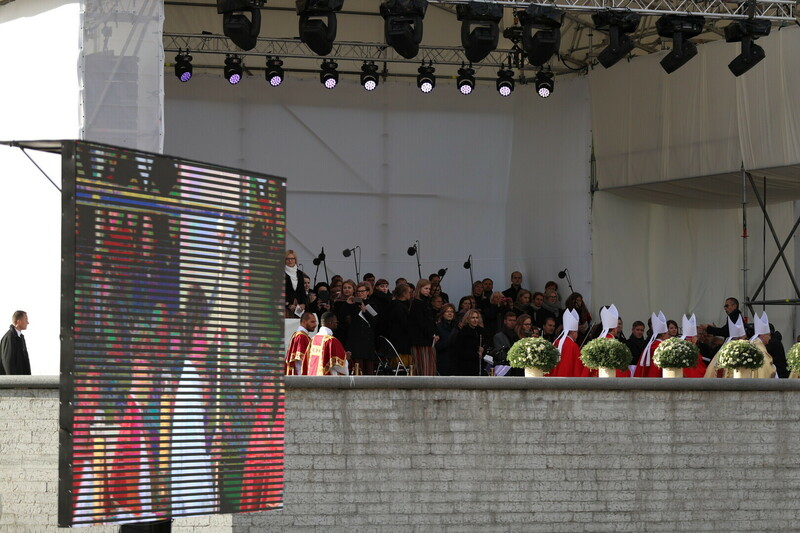 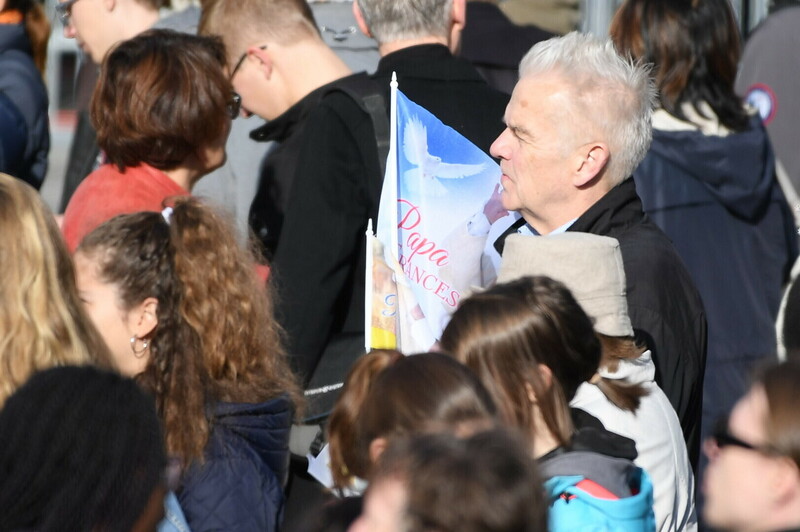 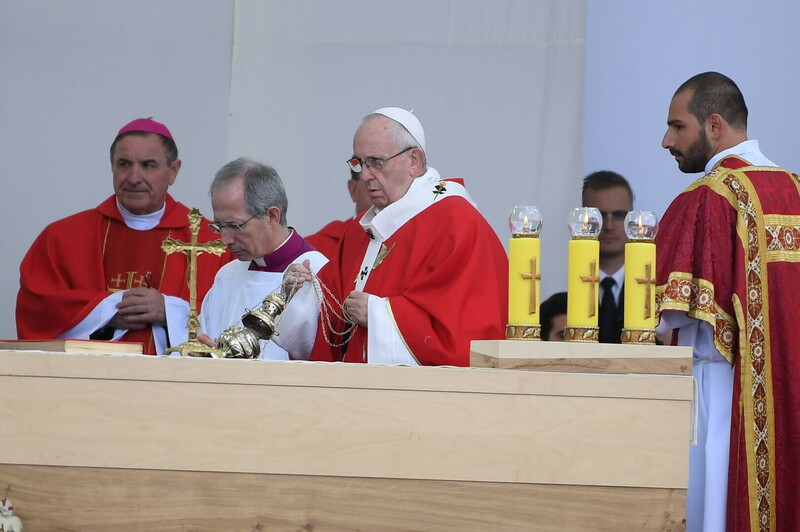 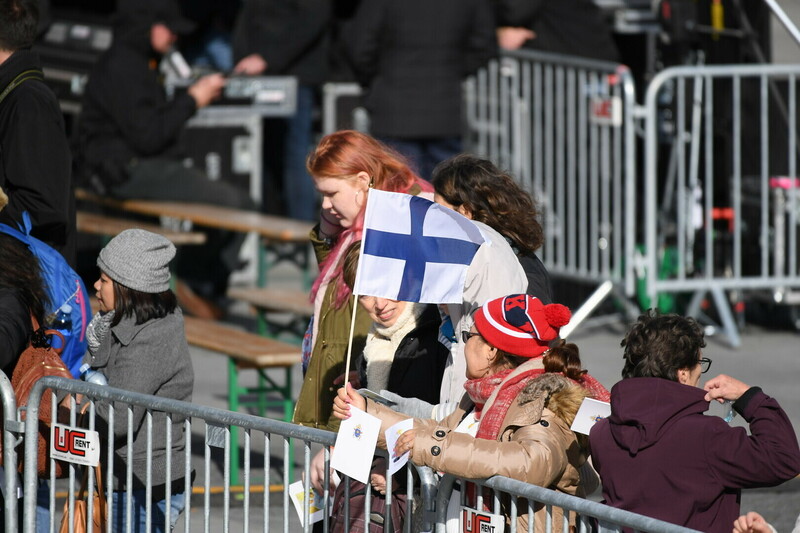 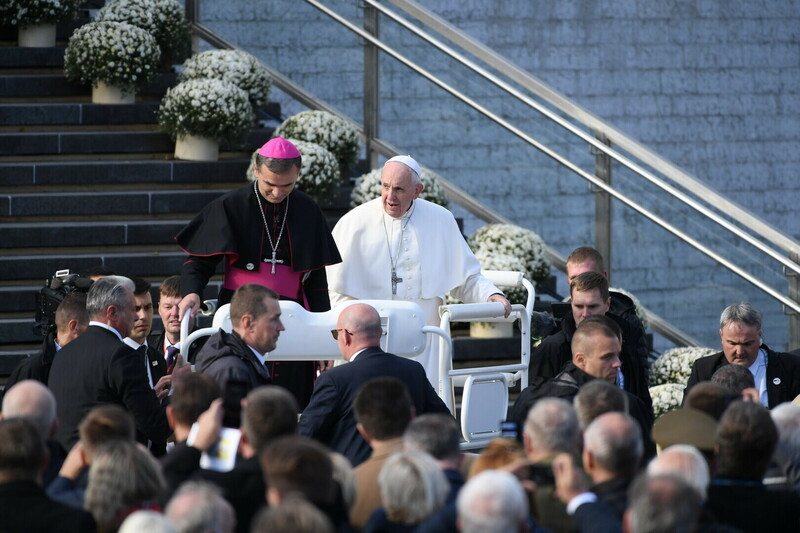 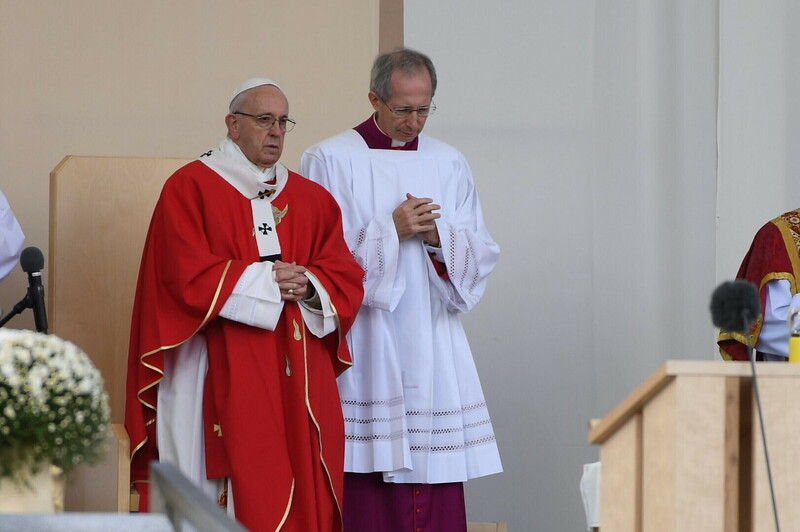 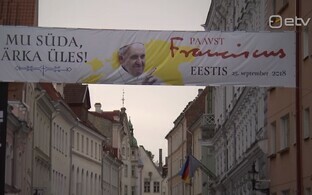 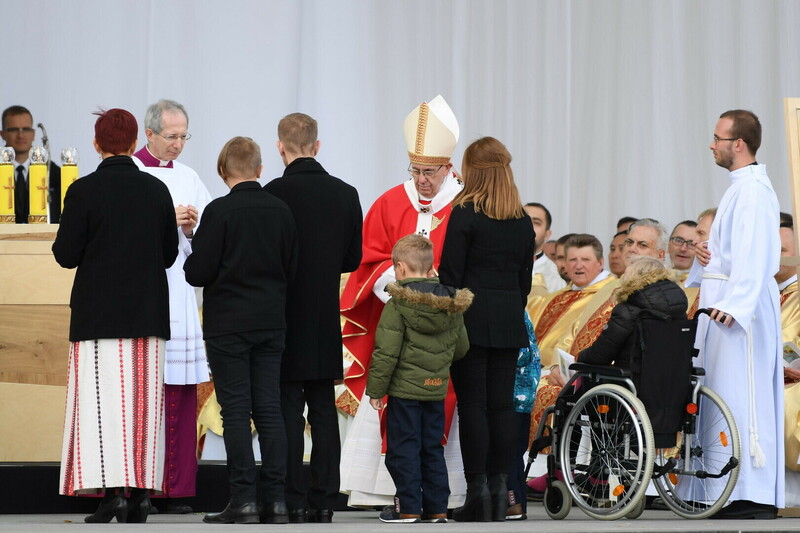 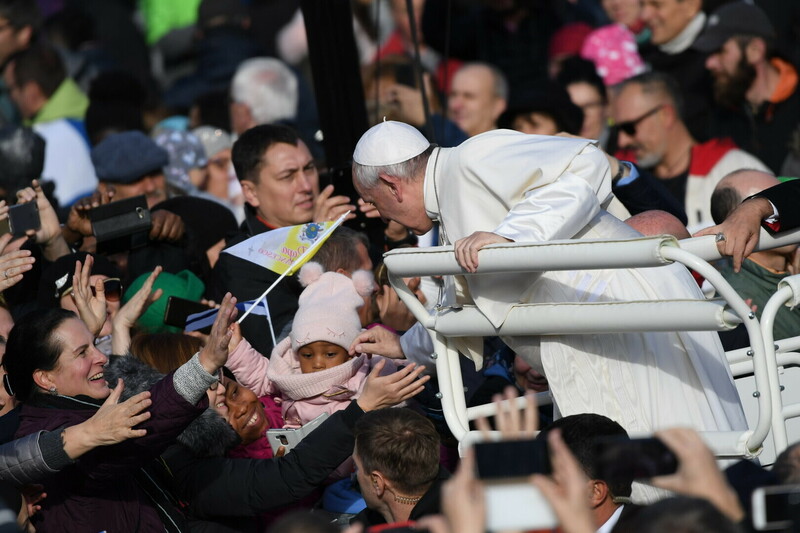 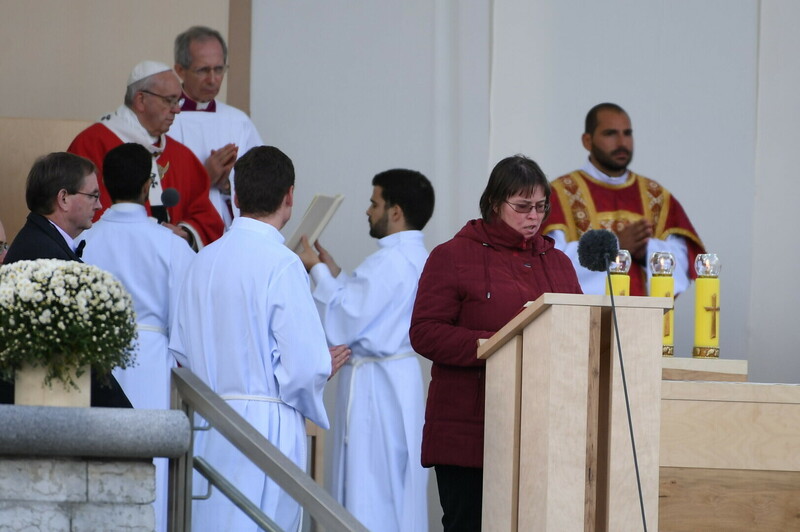 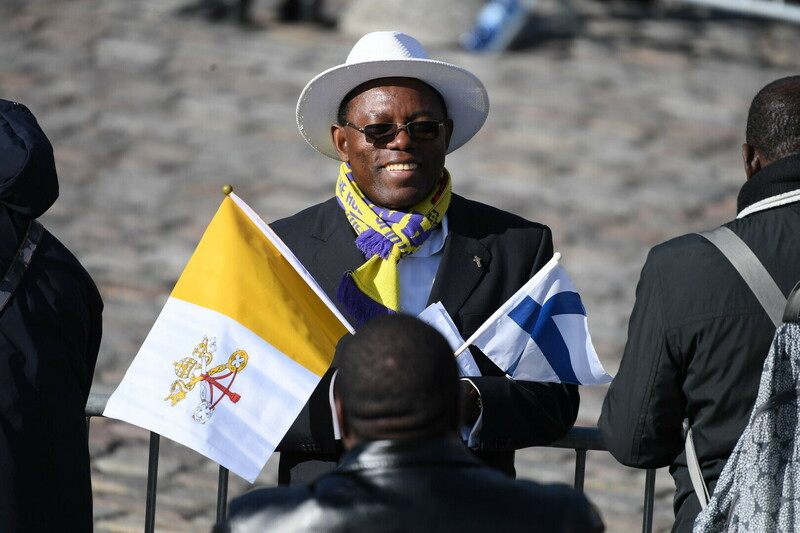 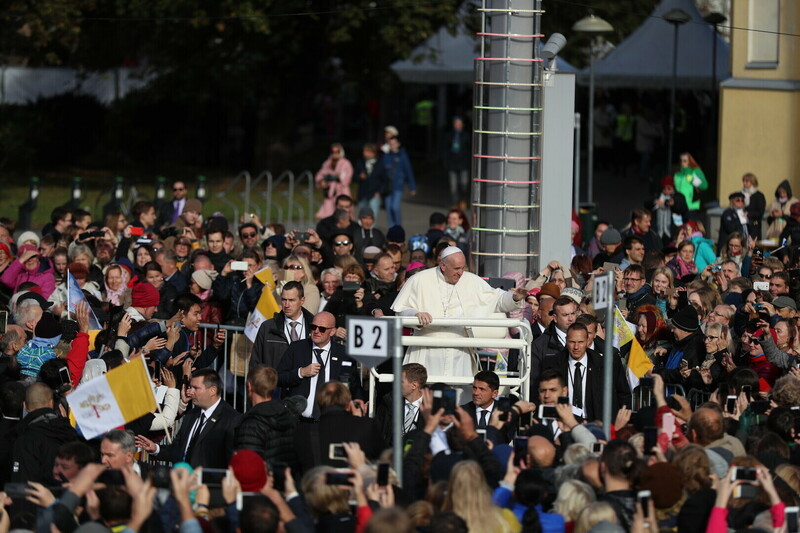 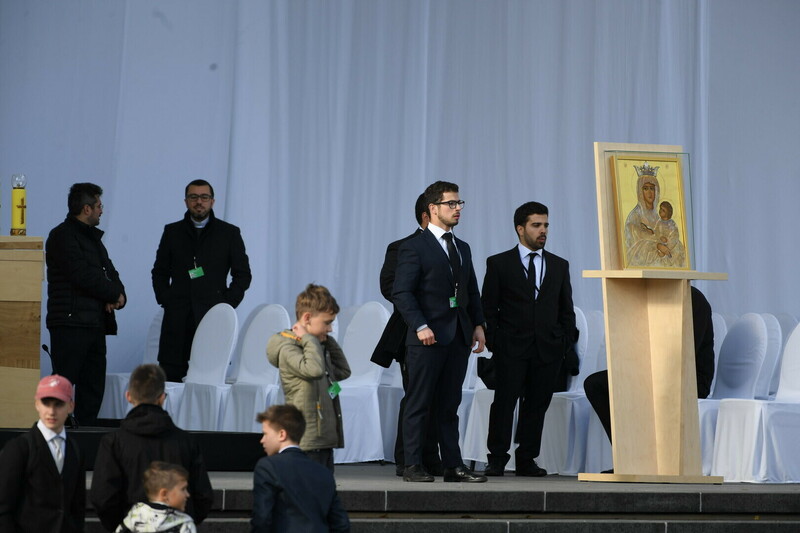 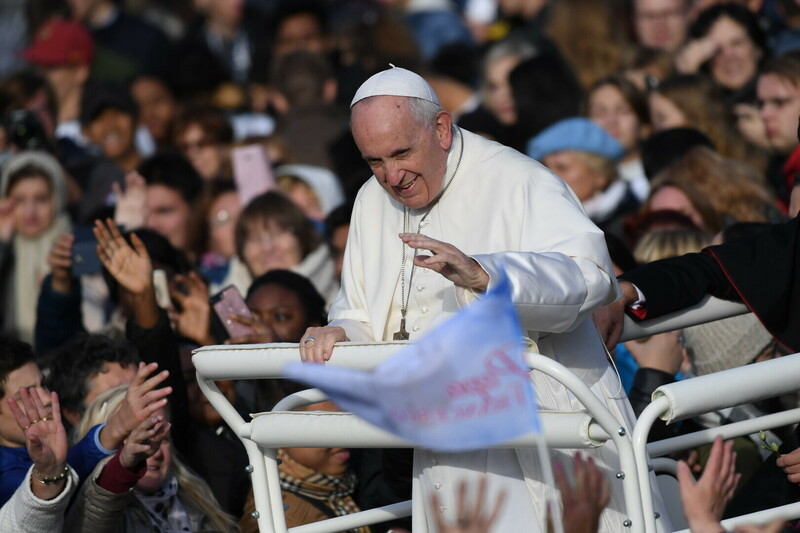 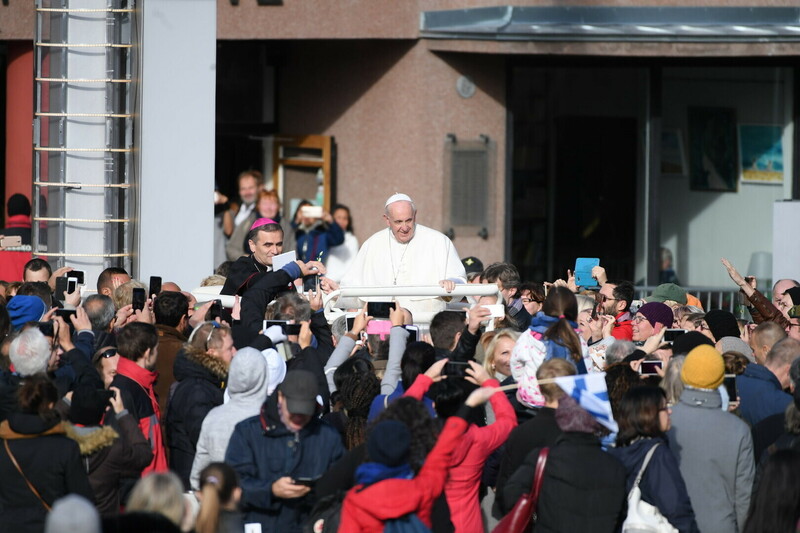 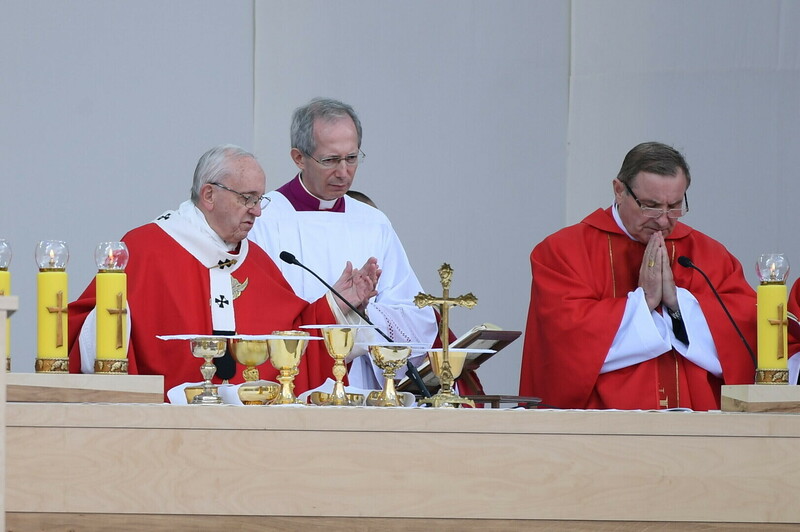 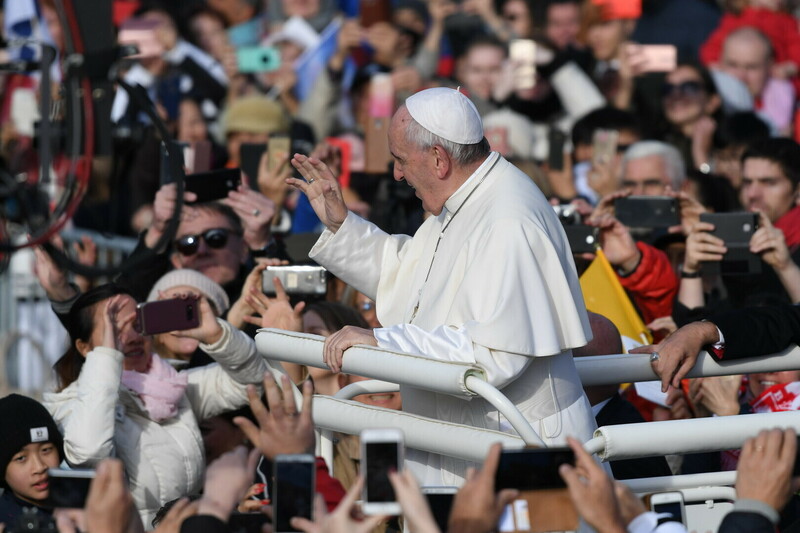 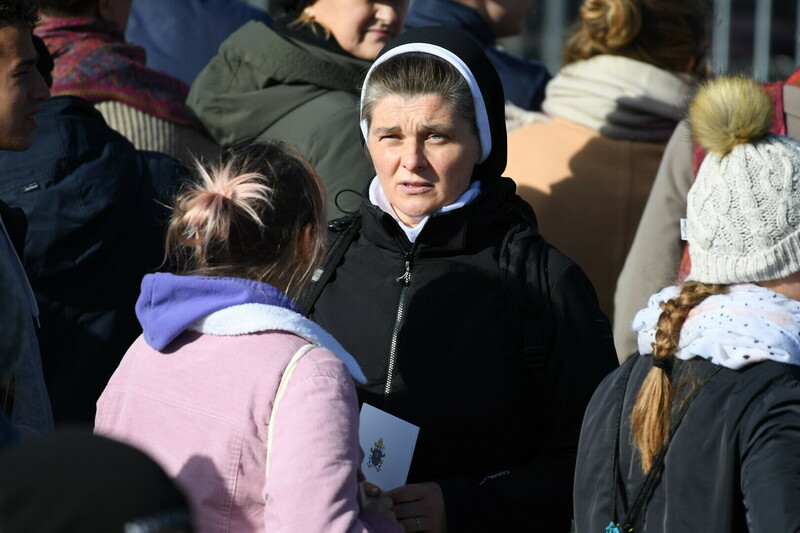 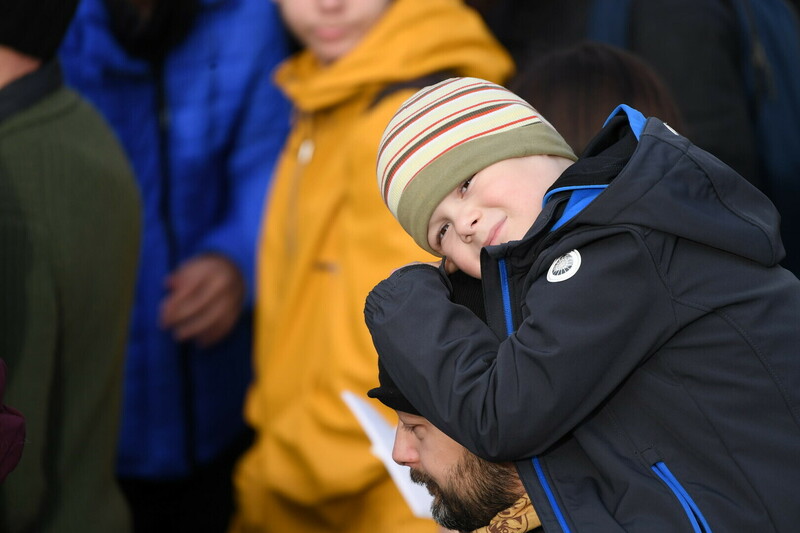 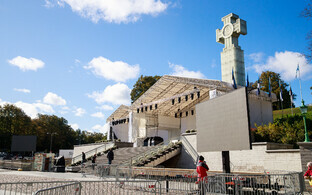 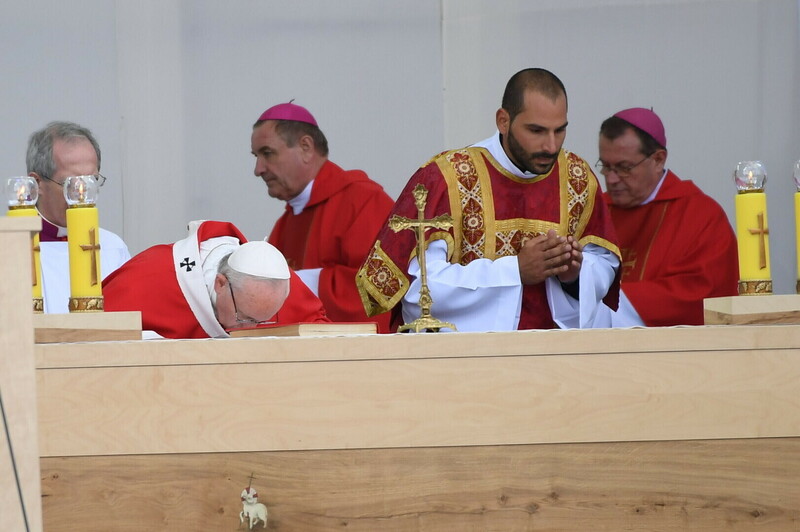 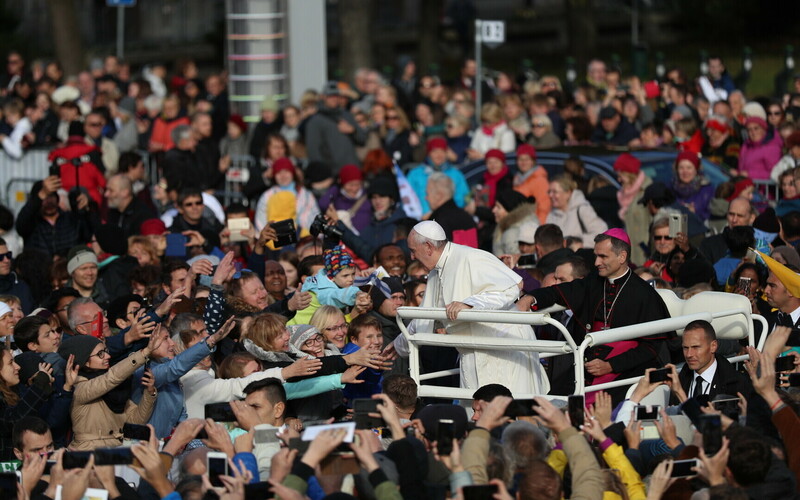 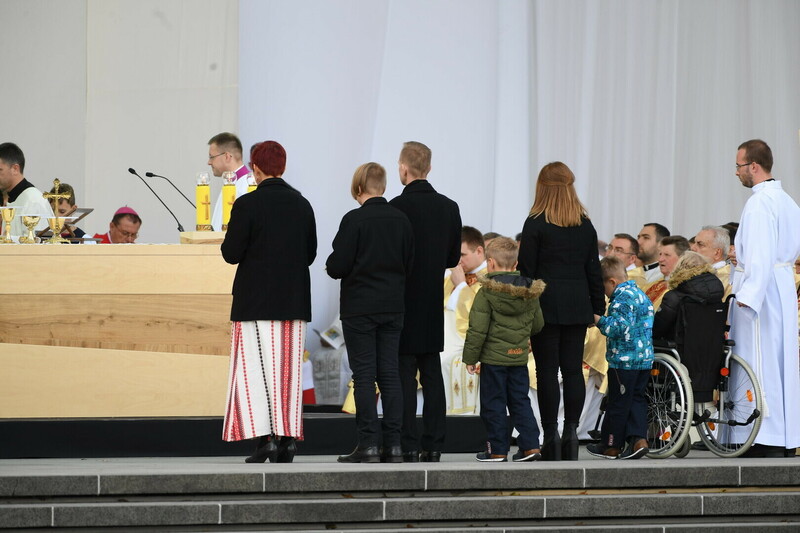 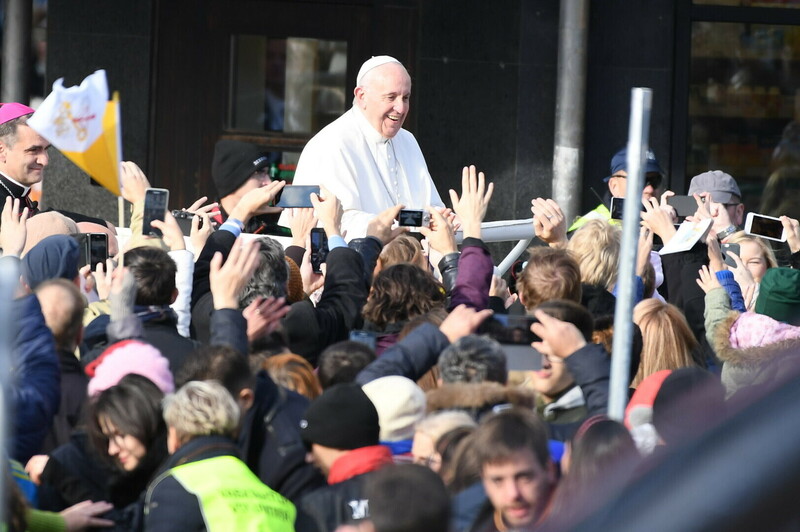 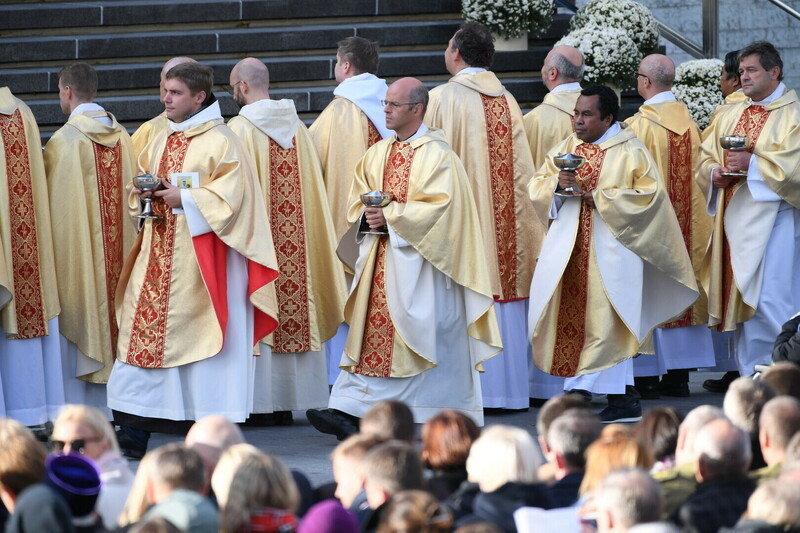 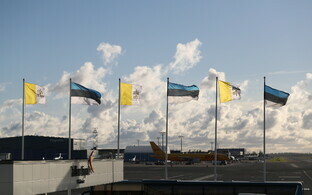 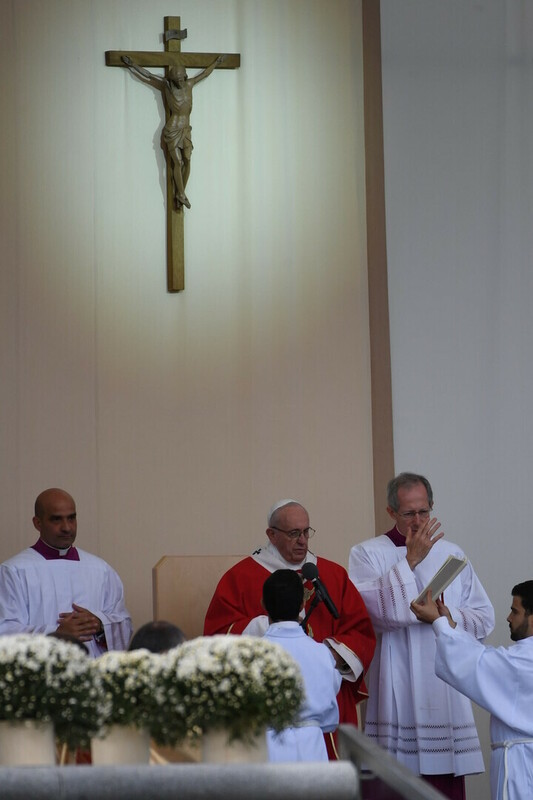 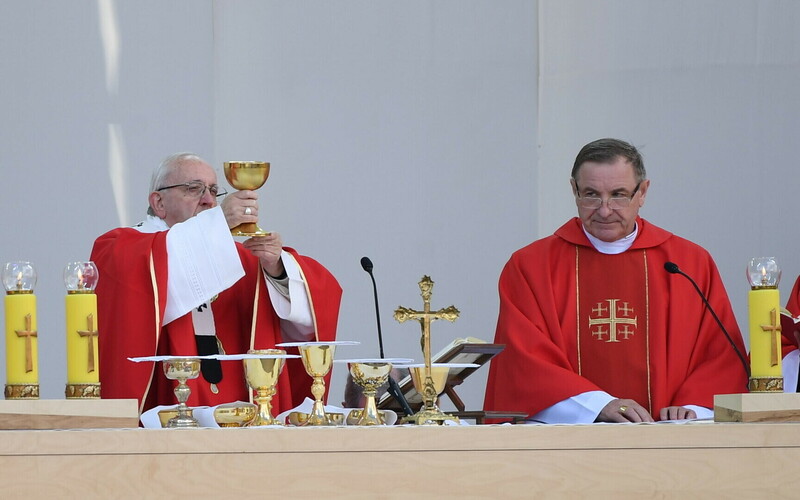 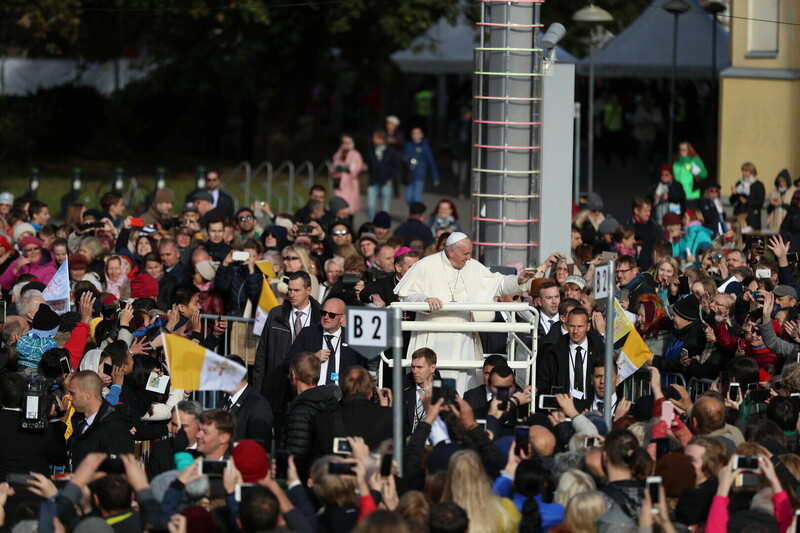 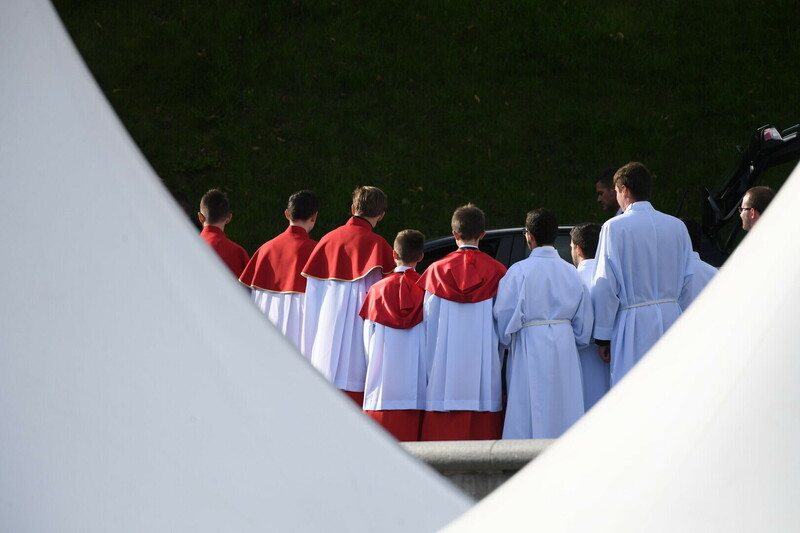 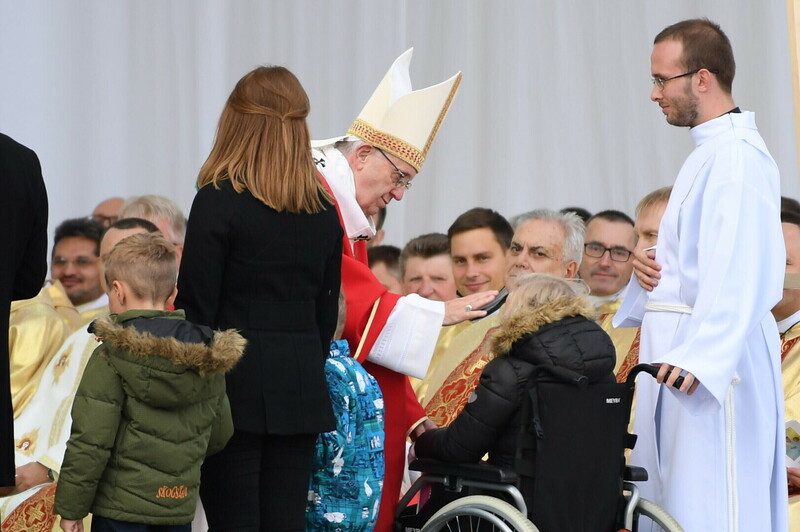 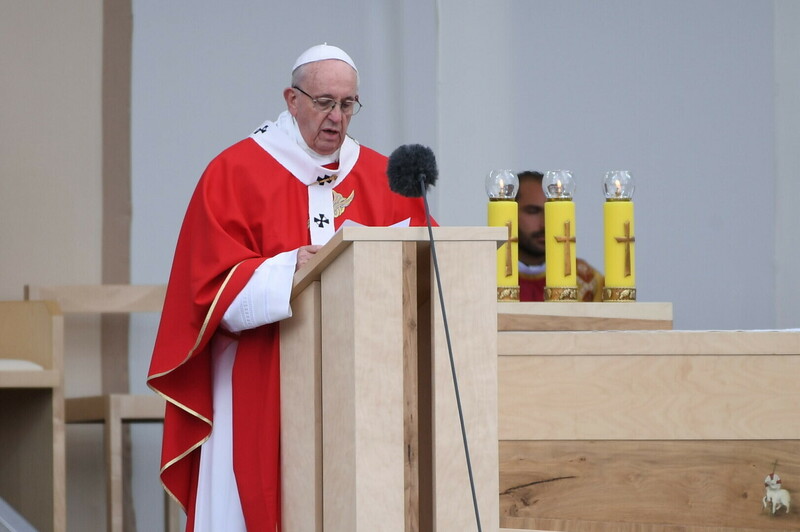 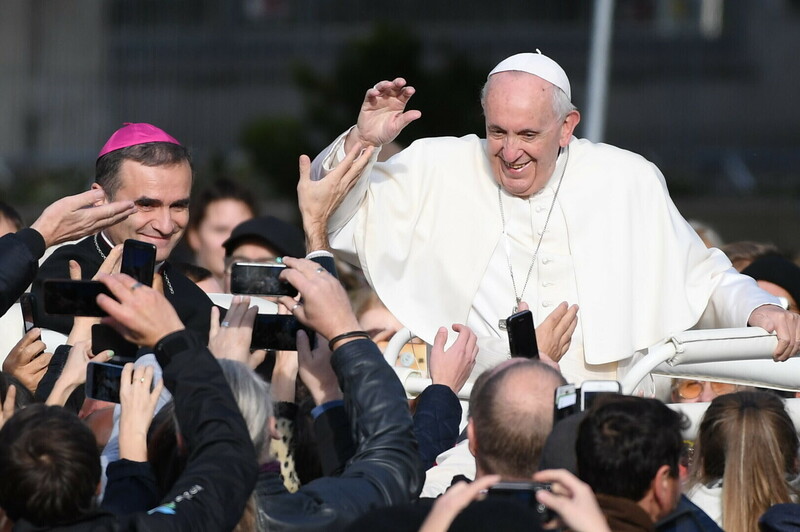 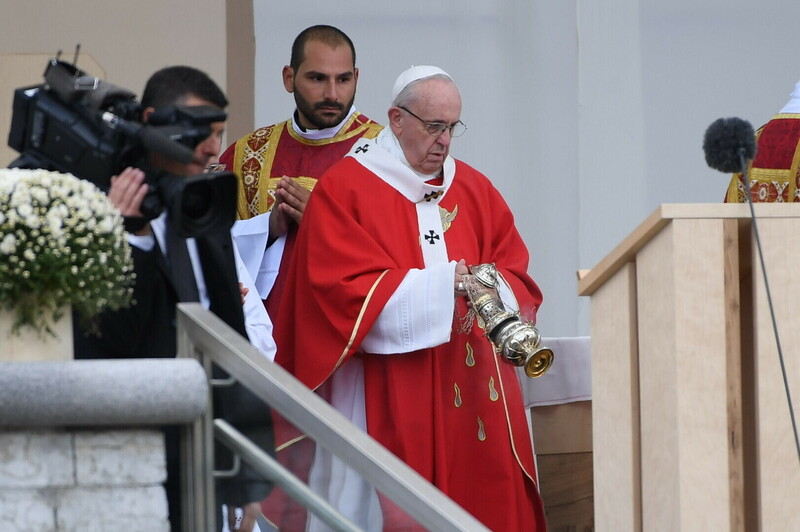 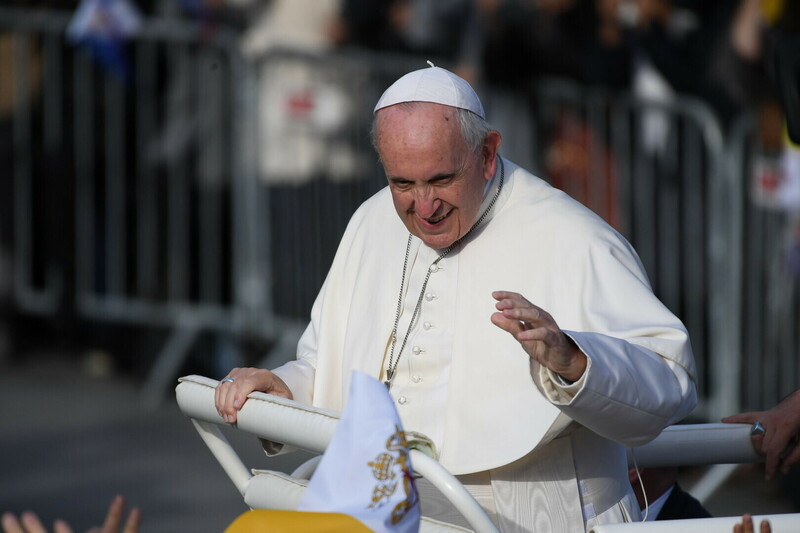 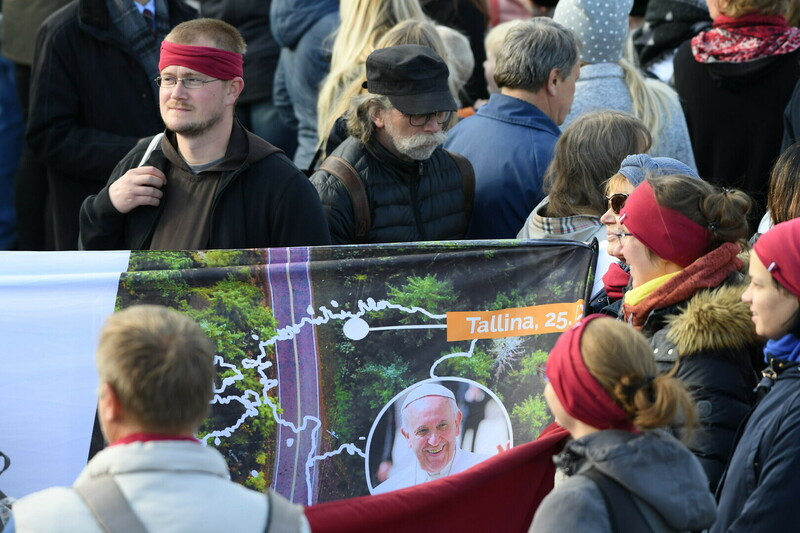 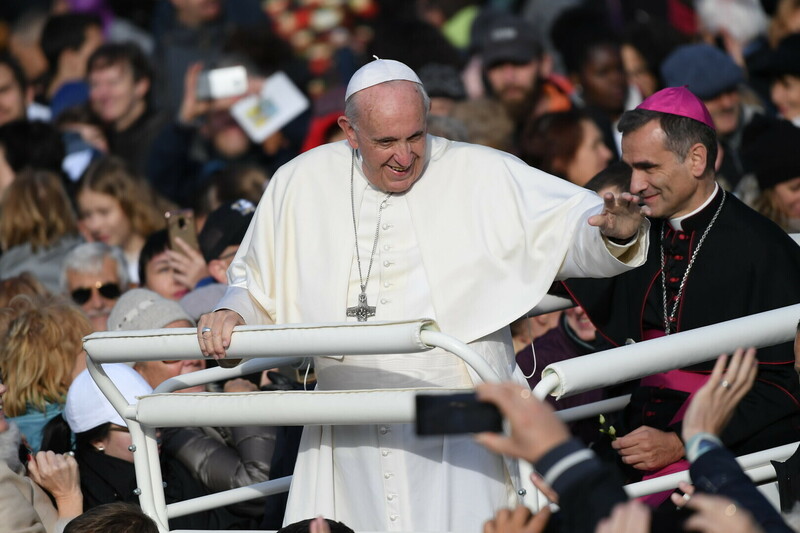 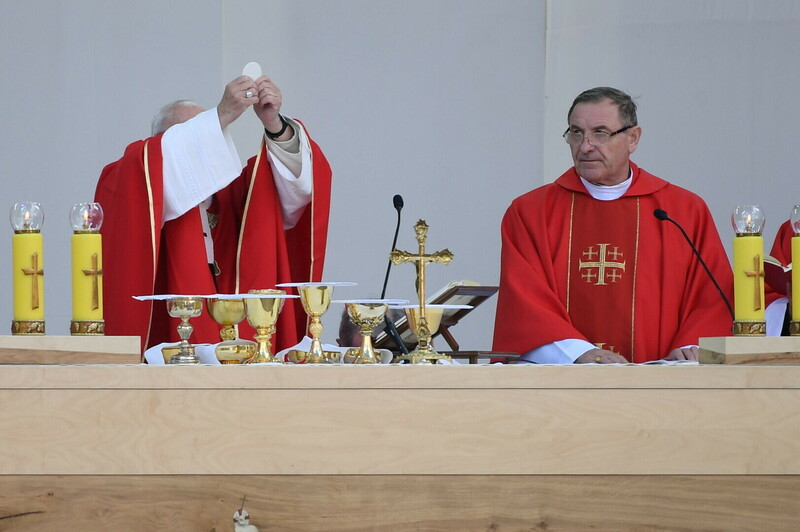 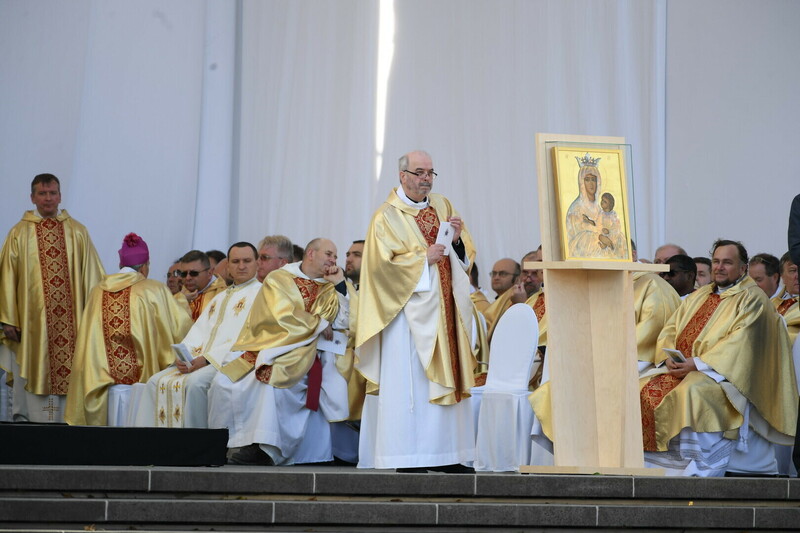 In the culmination of his one-day visit to Estonia, Pope Francis, the leader of the worldwide Catholic Church, will celebrate Holy Mass in Tallinn's Freedom Square beginning at 16:30 EEST. 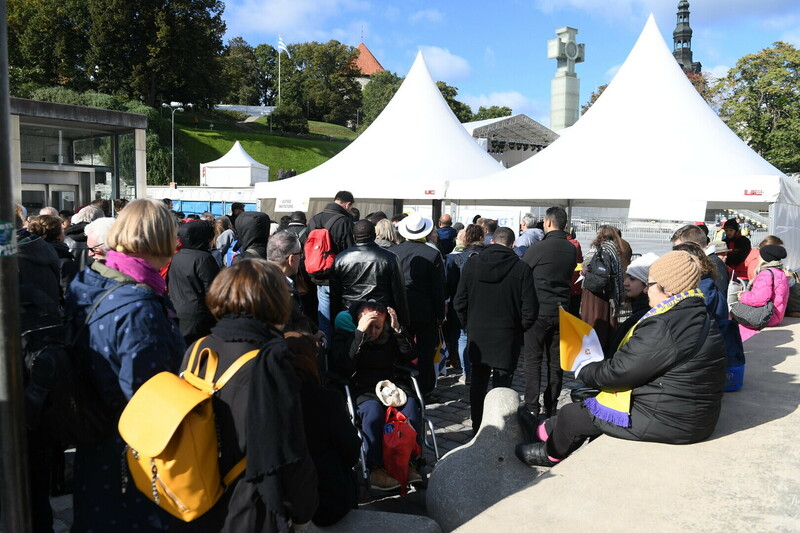 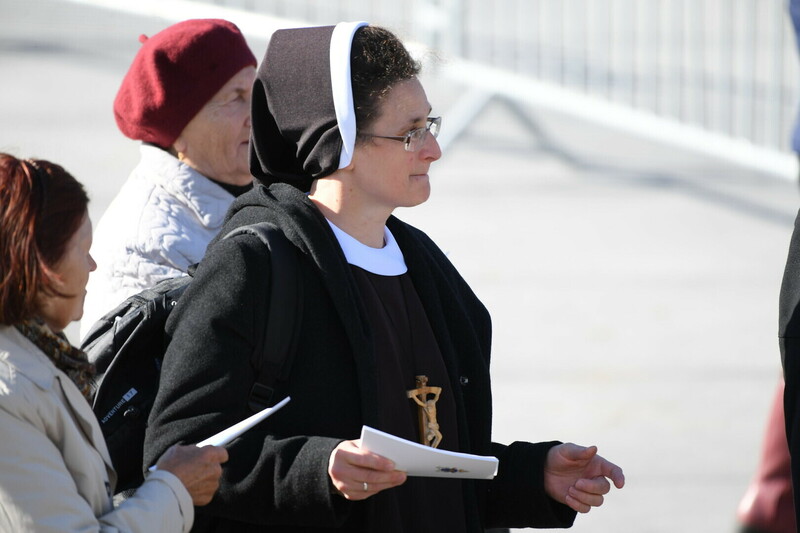 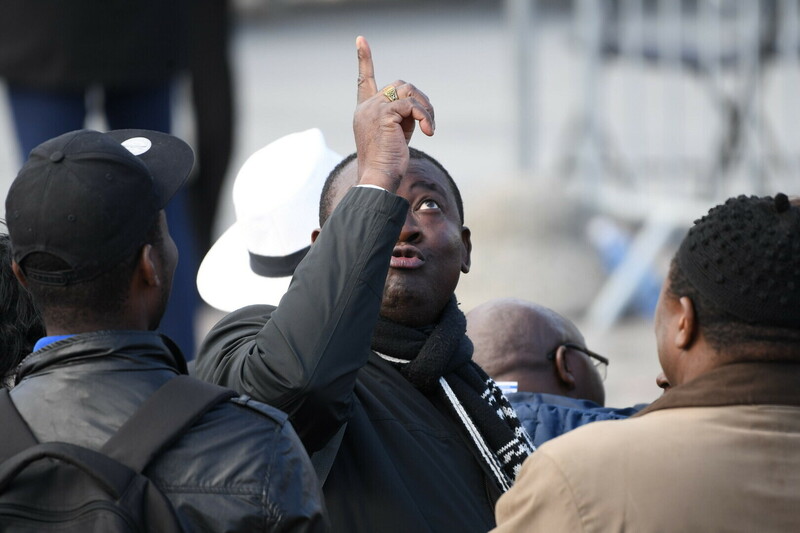 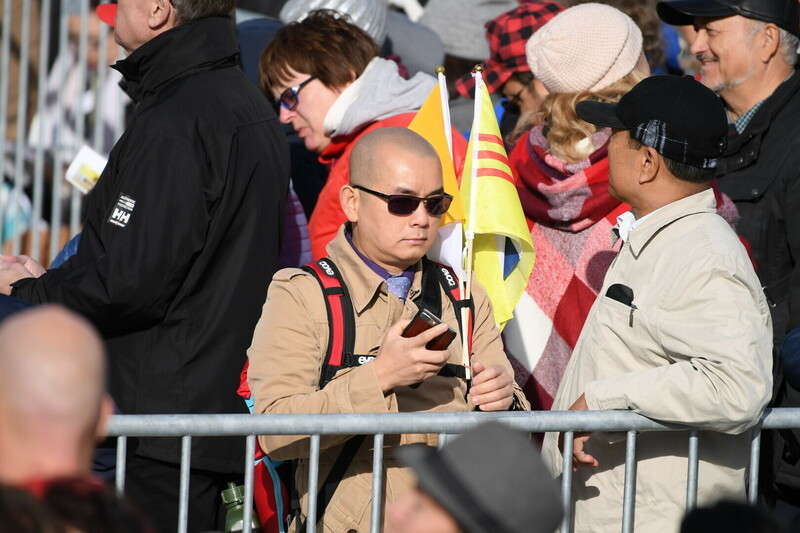 Over 10,000 are expected to attend, all of whom were required to register in advance. 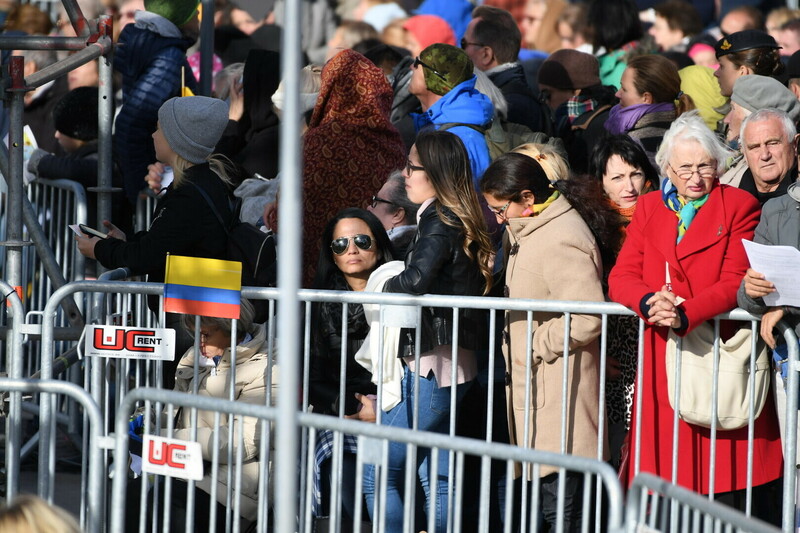 People first began arriving at Freedom Square a couple hours ahead of the scheduled beginning of the event on Tuesday afternoon. 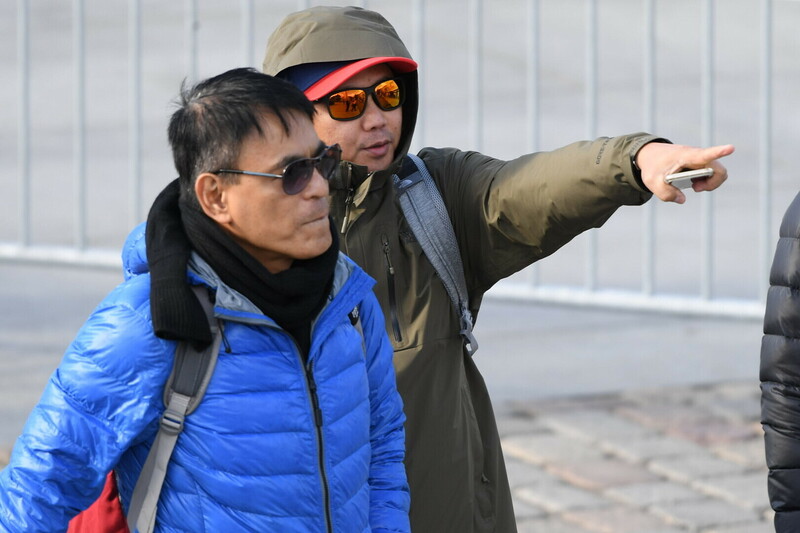 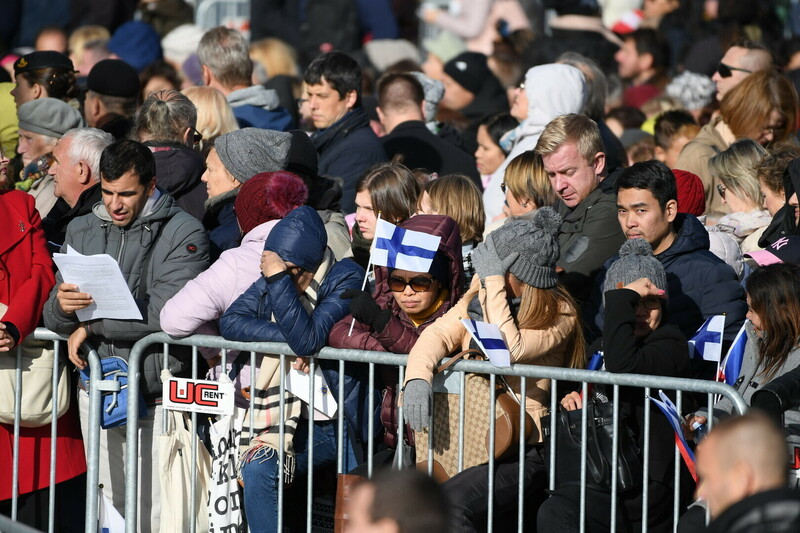 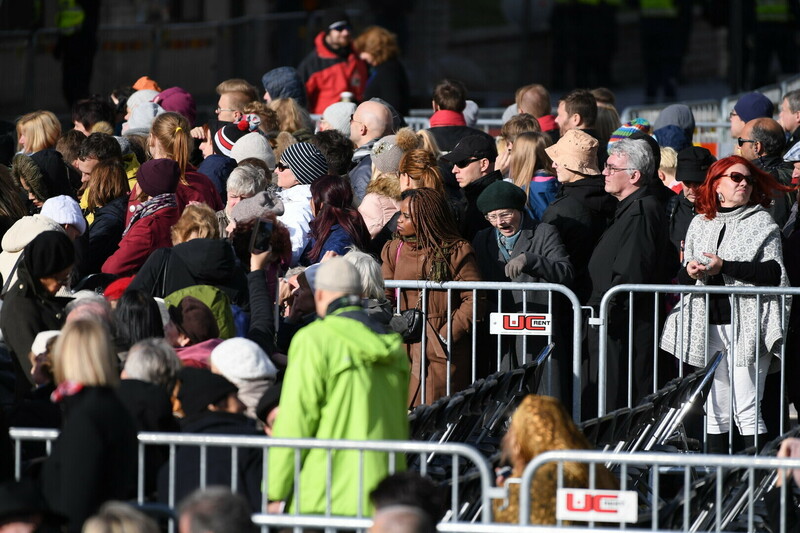 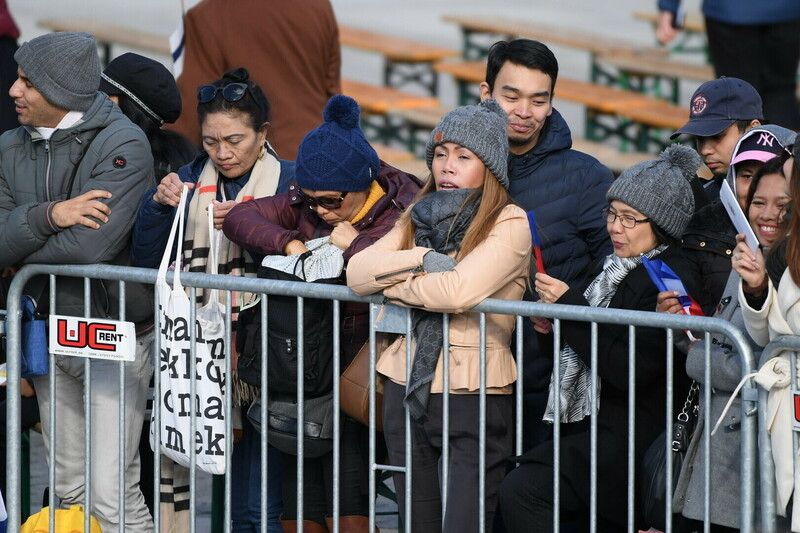 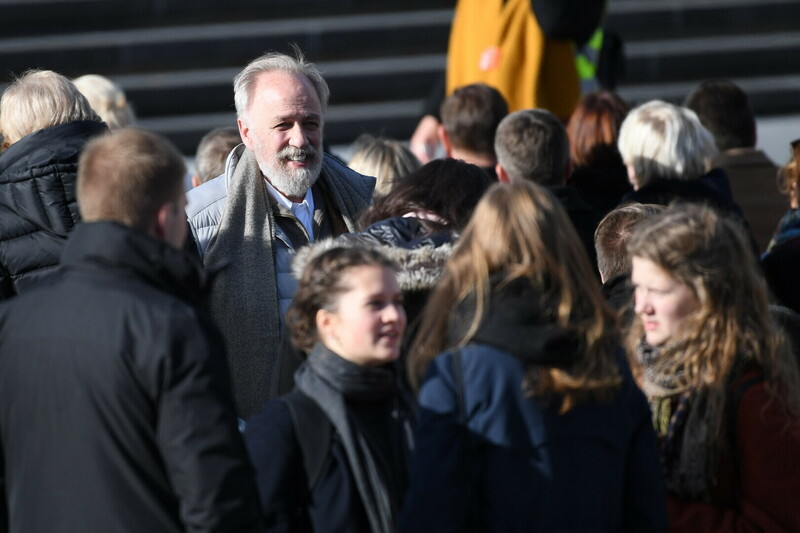 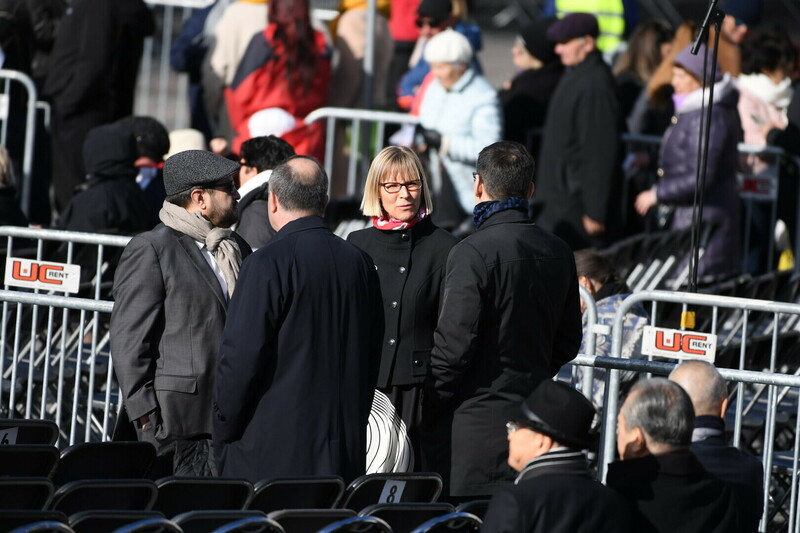 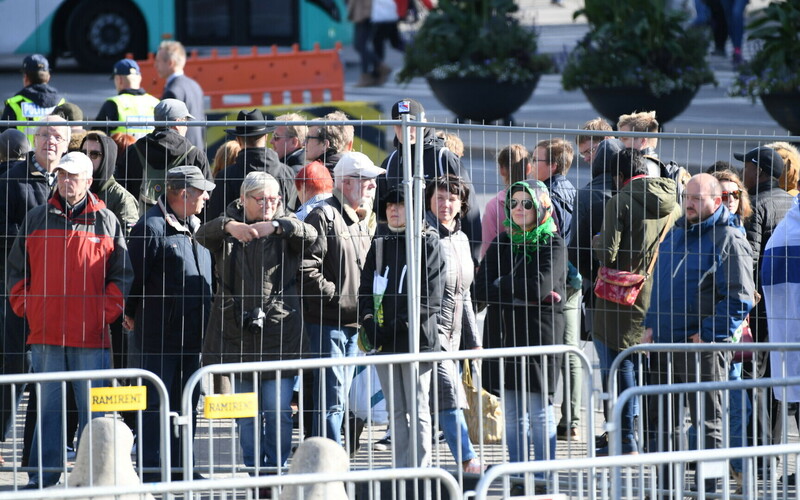 According to ERR correspondent Sergei Stepanov, who was on the scene, a number of gates have been set up at the square, and people are lining up for entry. 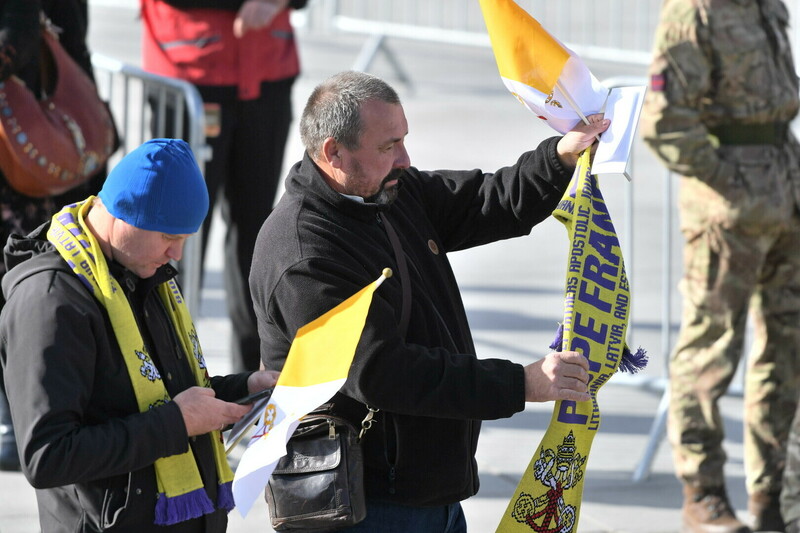 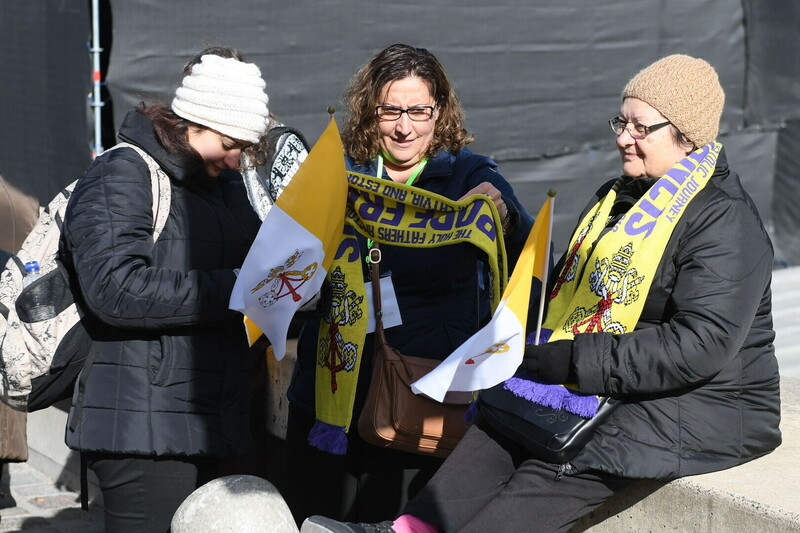 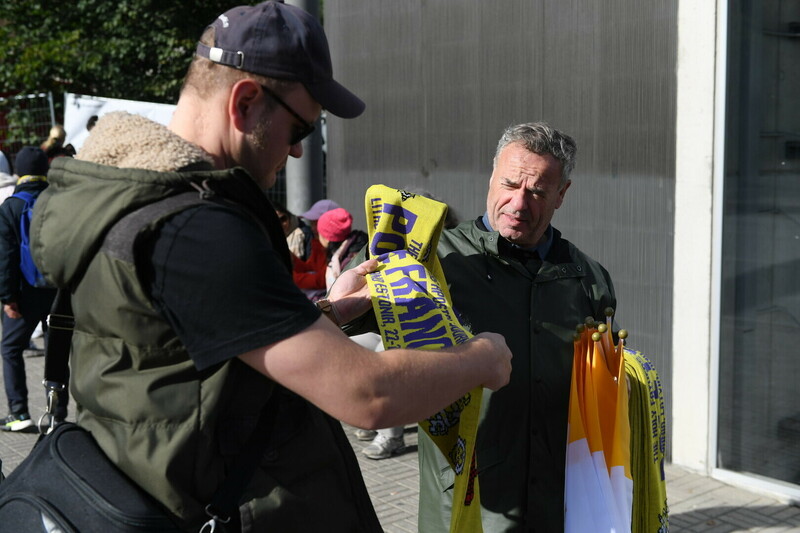 Souvenirs are also being sold around the square, including flags and scarves bearing Vatican imagery. 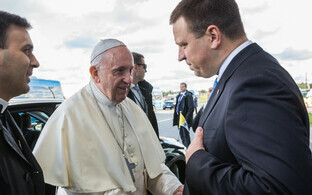 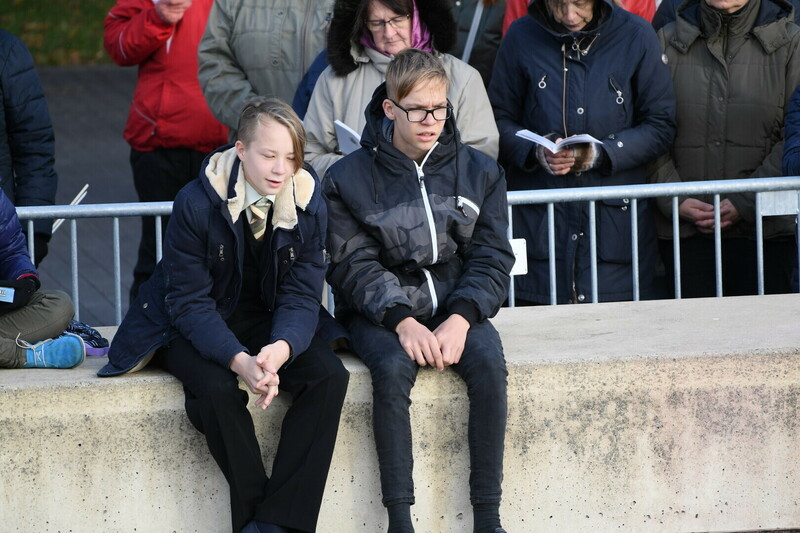 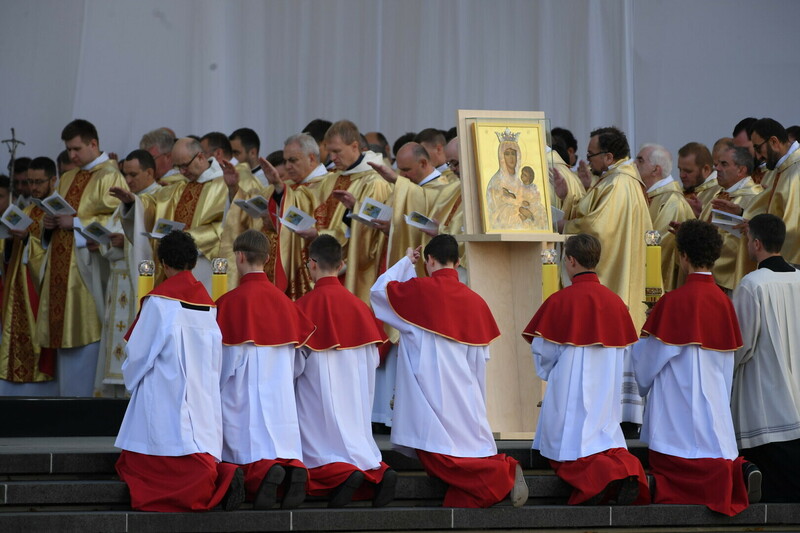 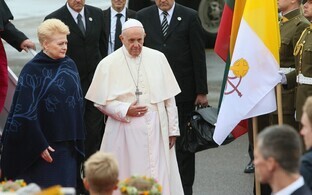 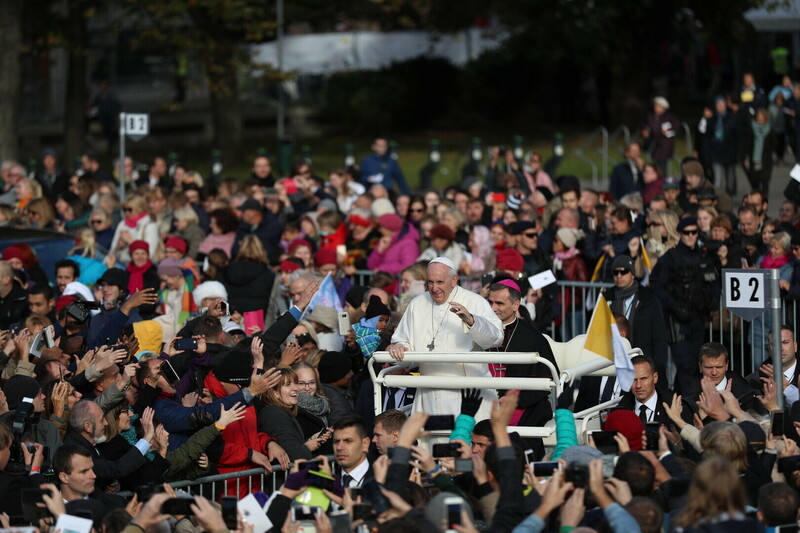 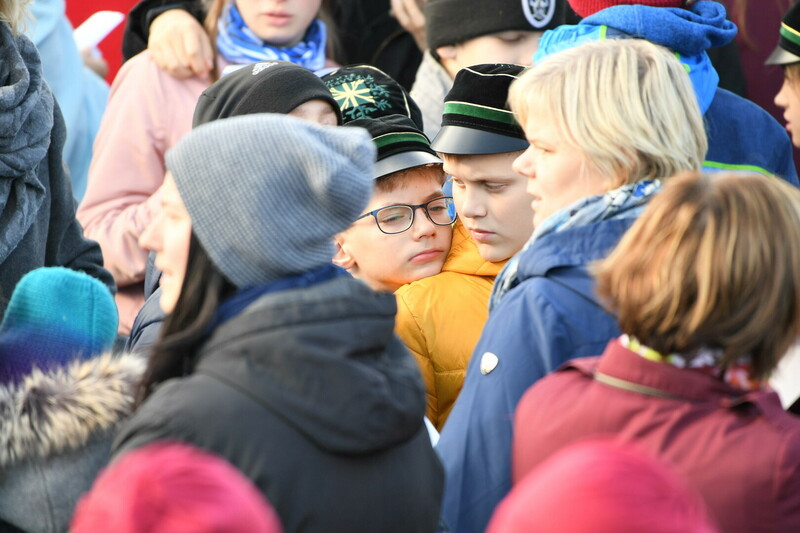 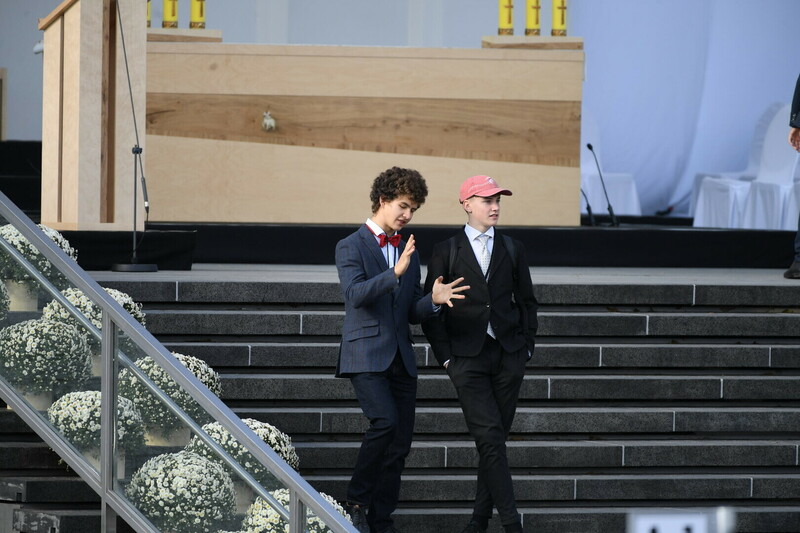 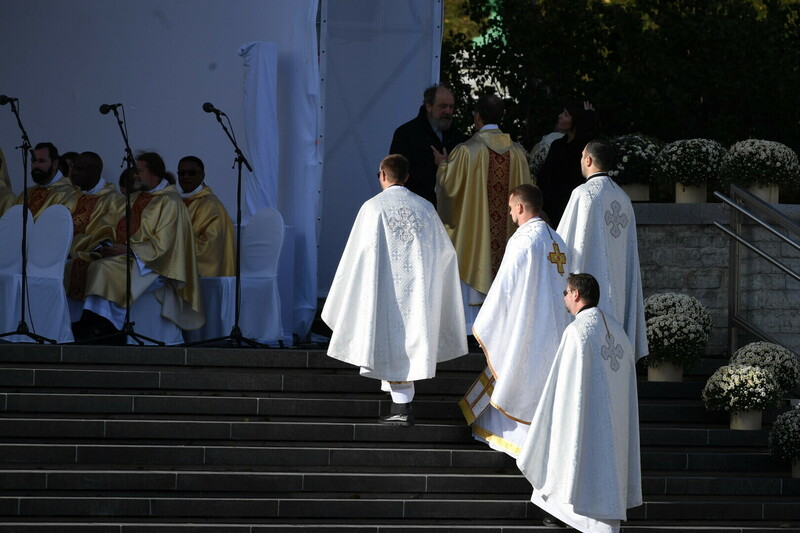 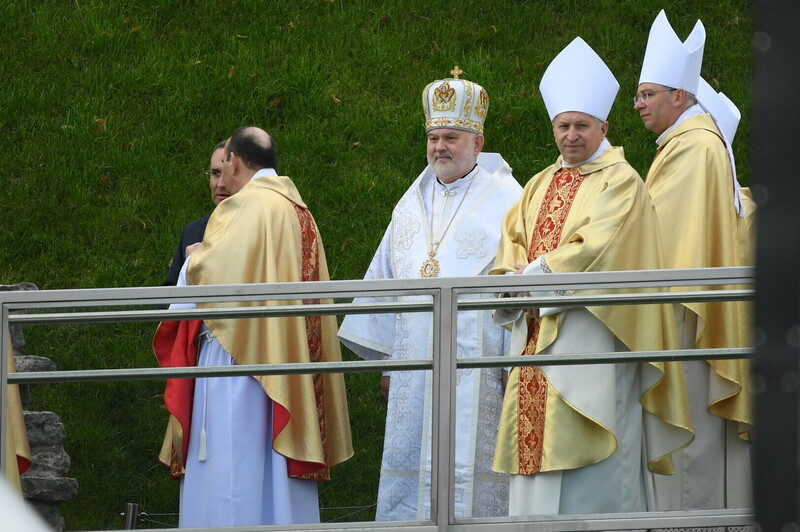 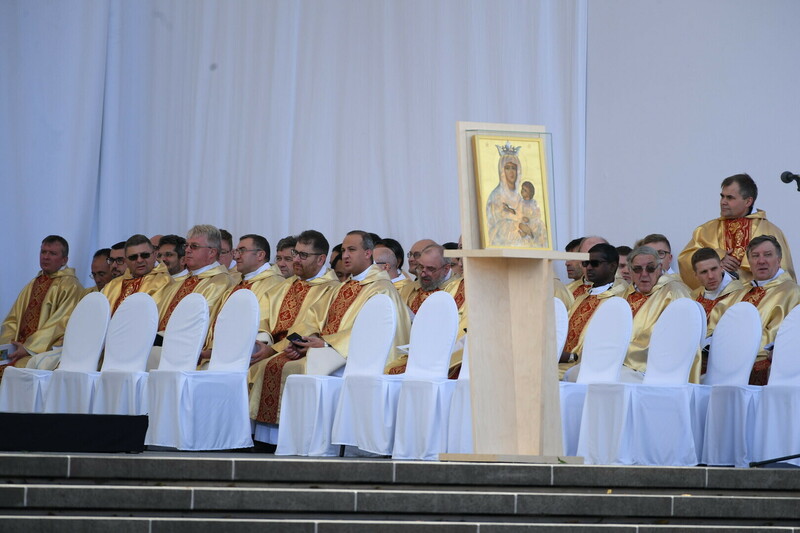 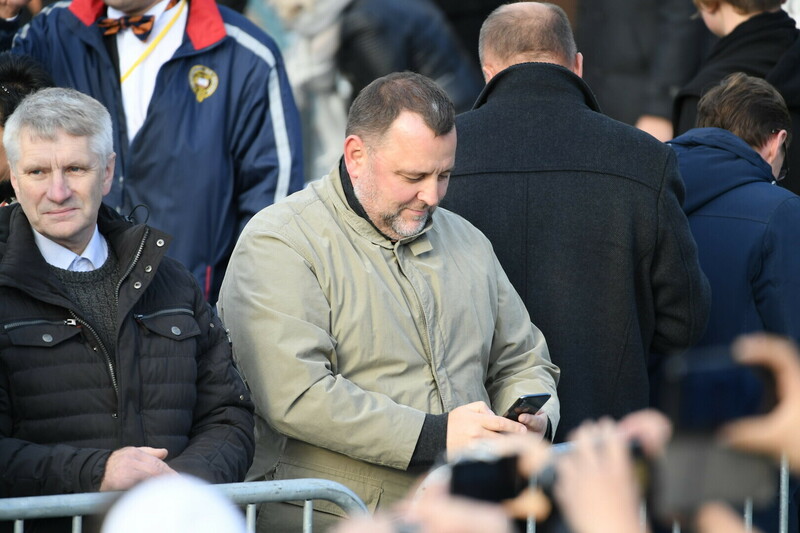 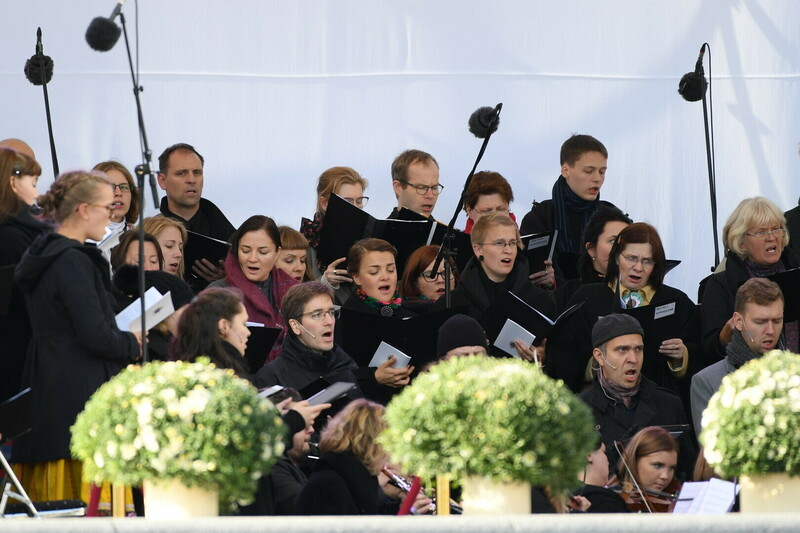 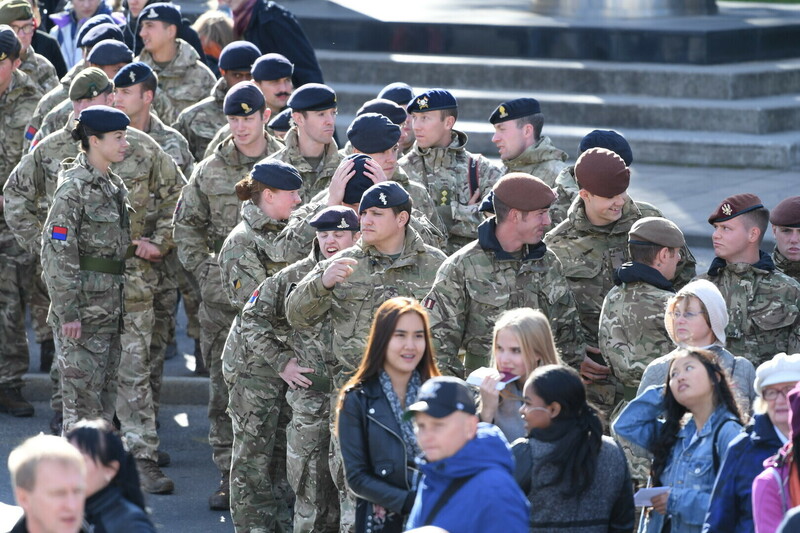 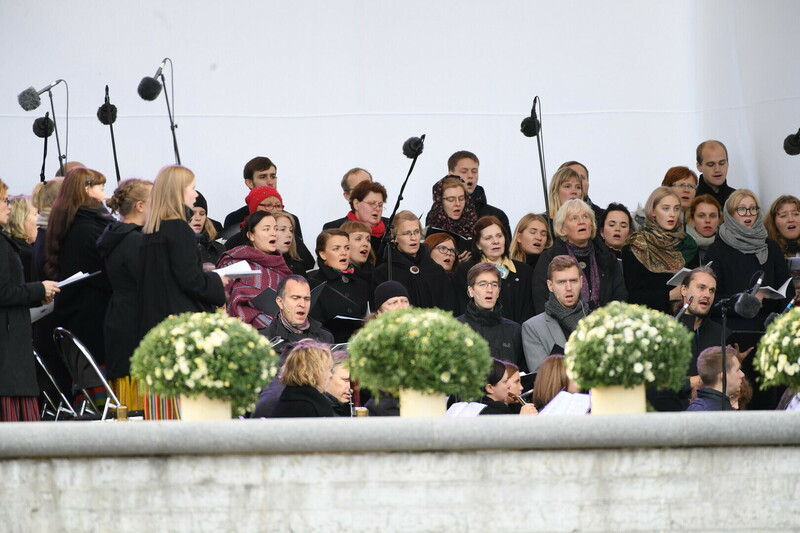 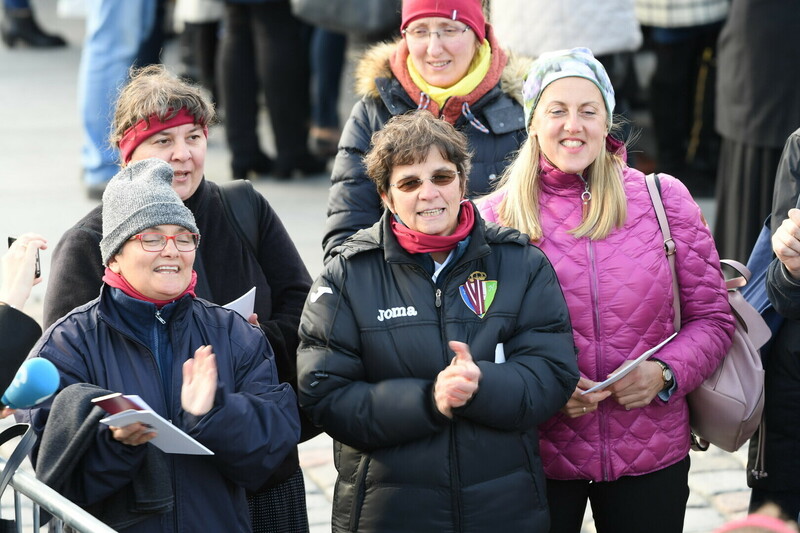 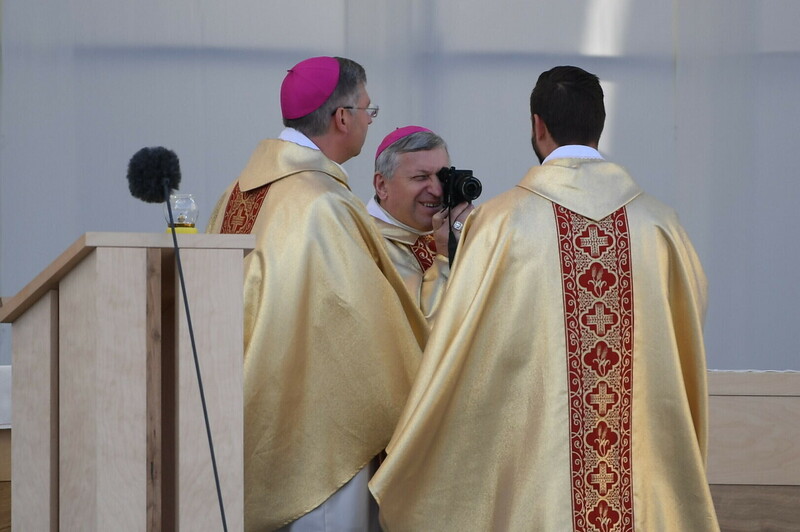 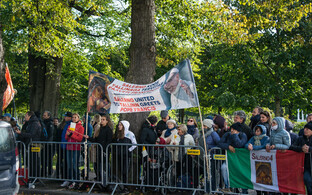 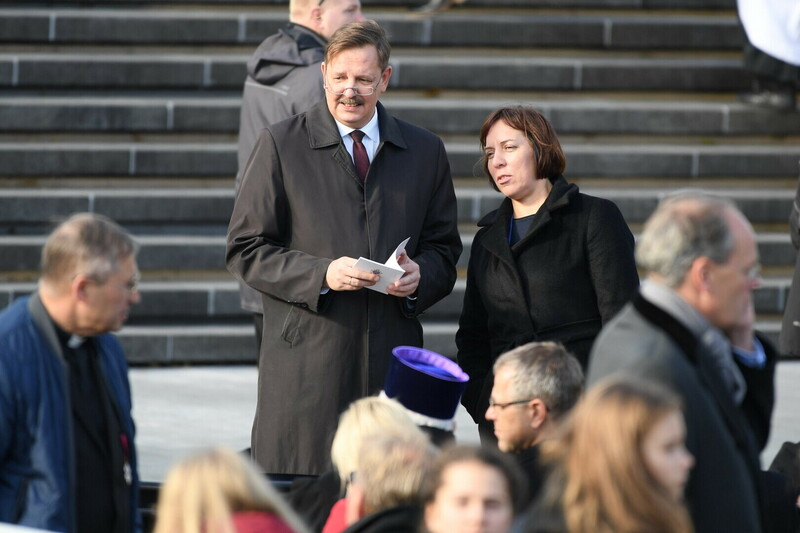 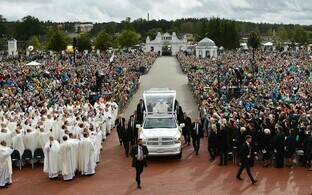 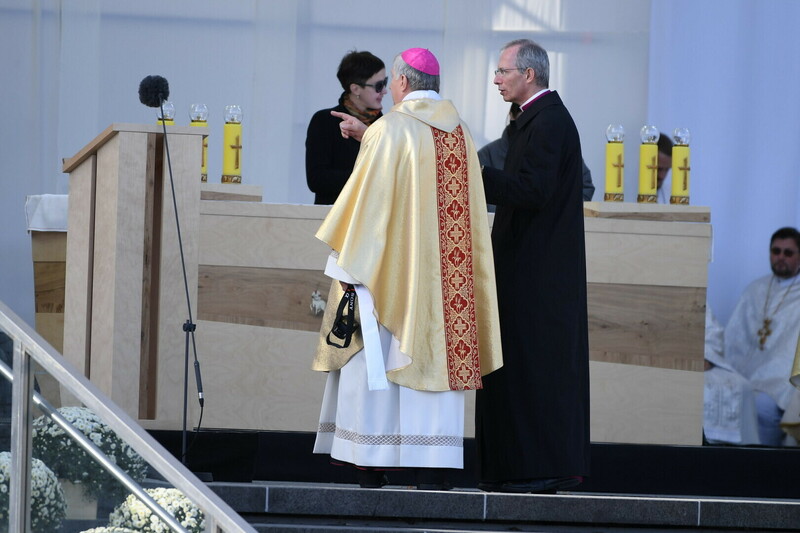 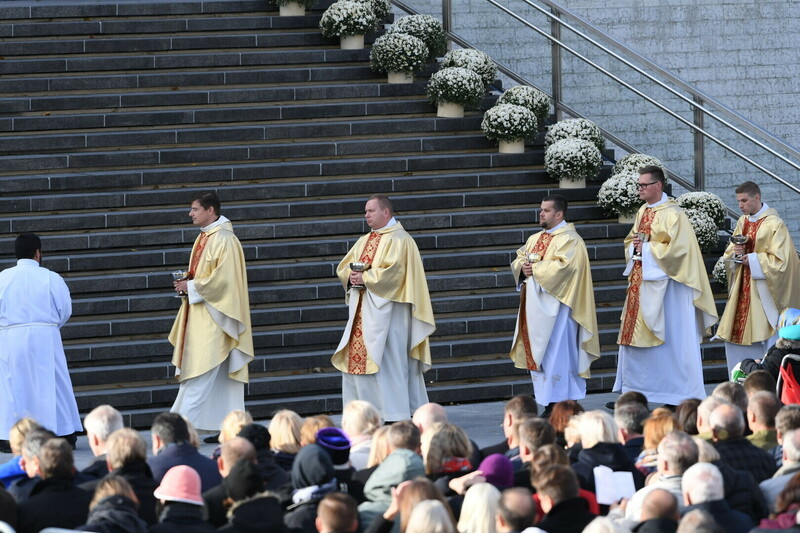 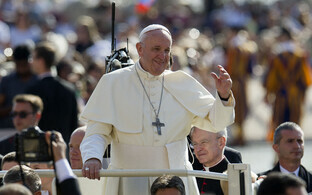 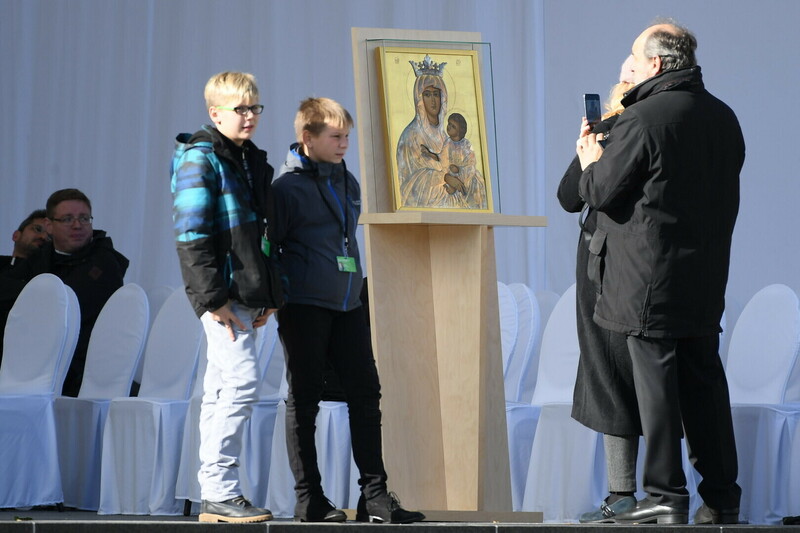 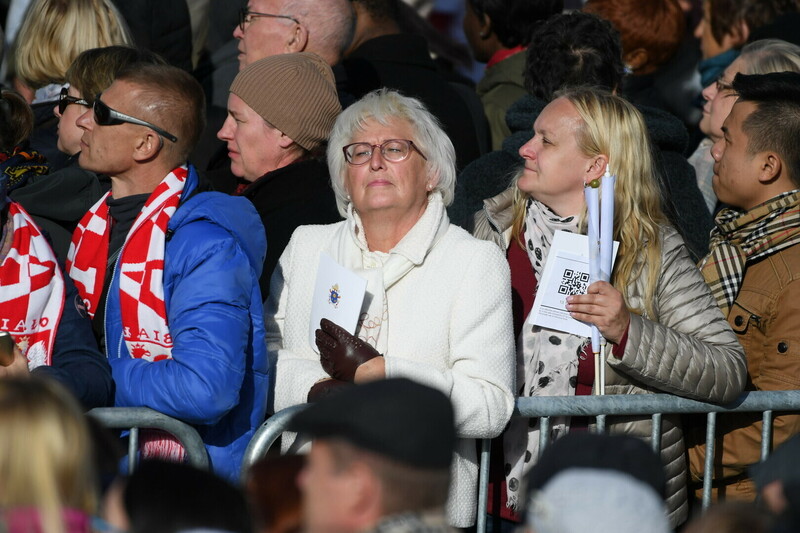 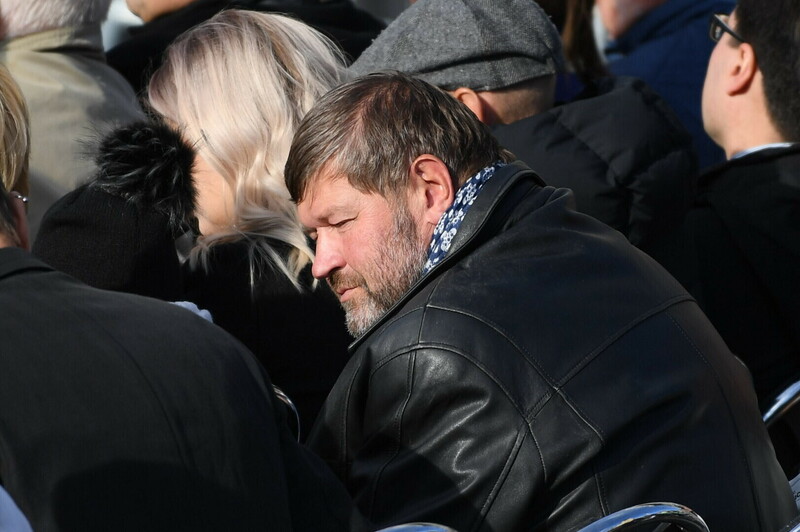 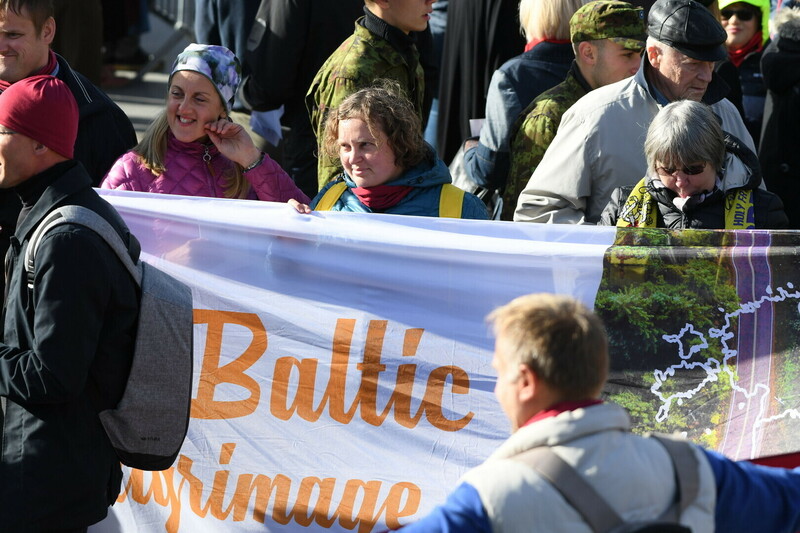 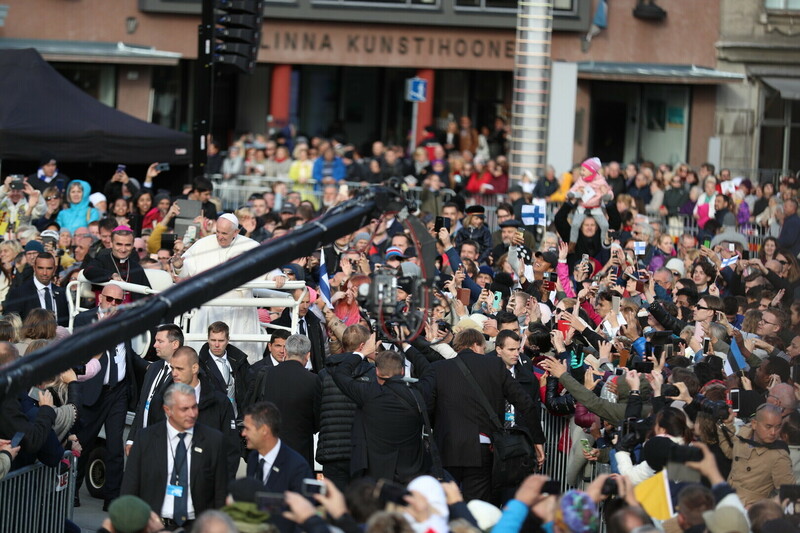 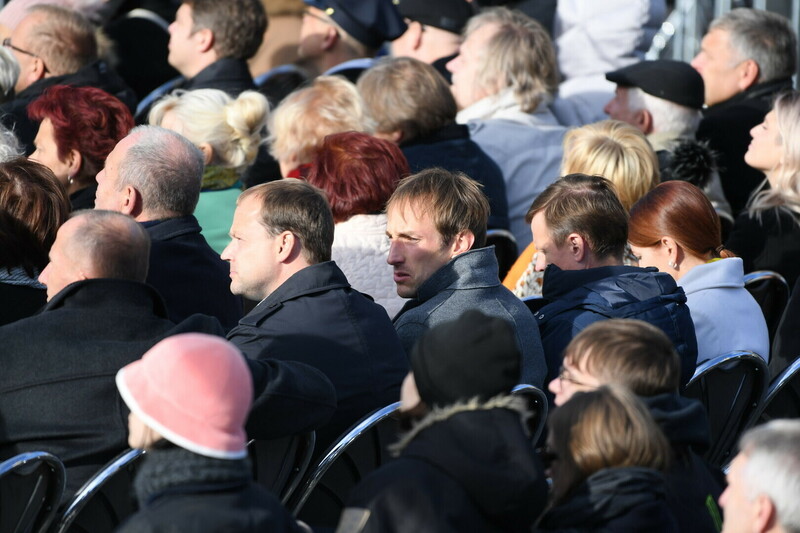 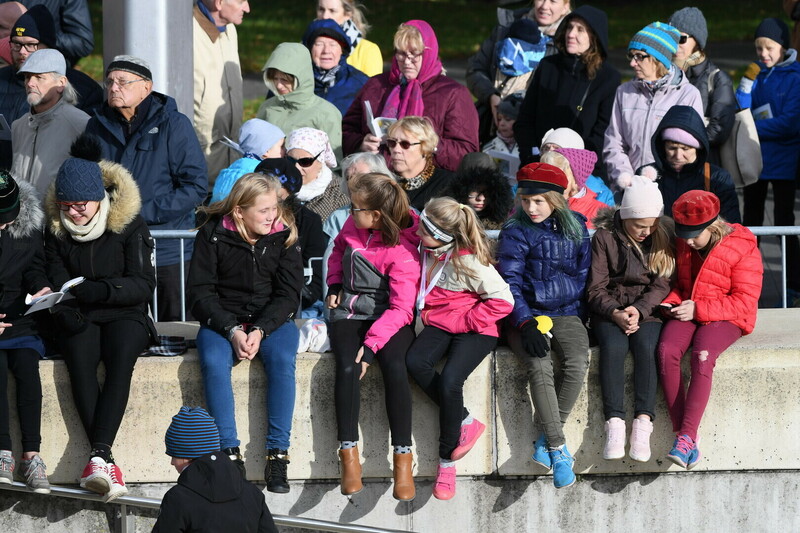 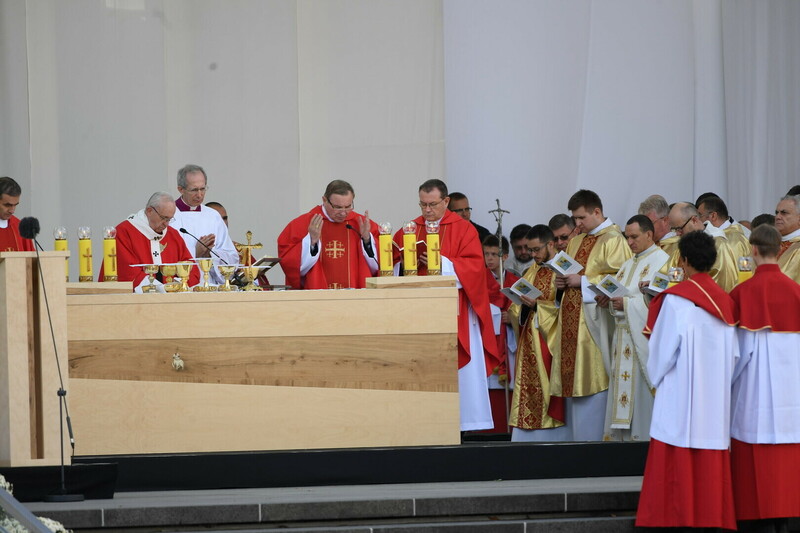 "A bus full of Catholics from Narva, Sillamäe and Rakvere has also arrived," Stepanov added. 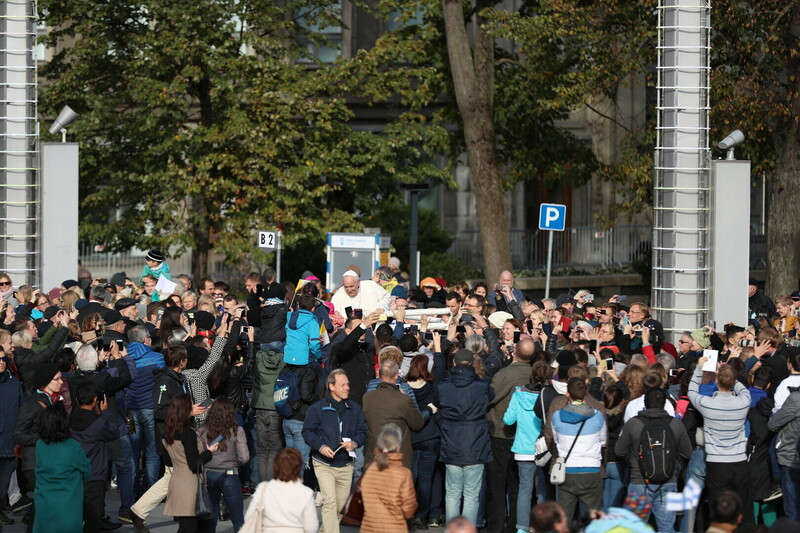 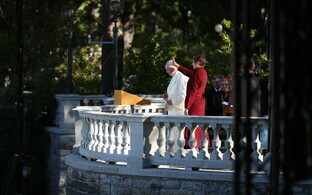 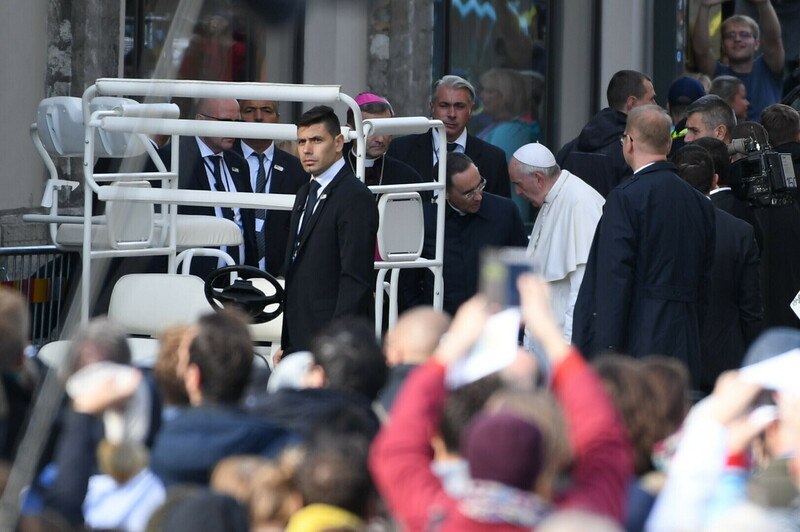 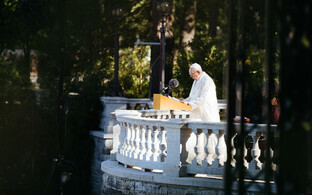 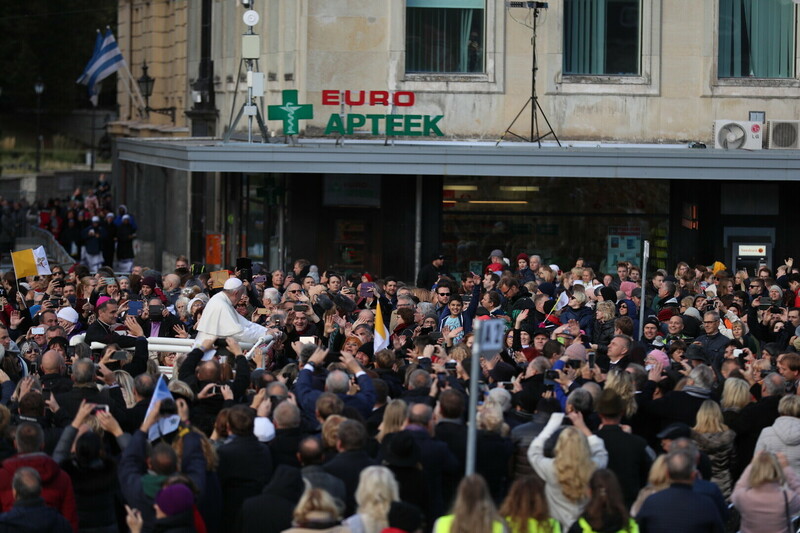 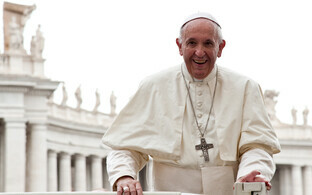 The Pope is currently visiting the Catholic Sts. 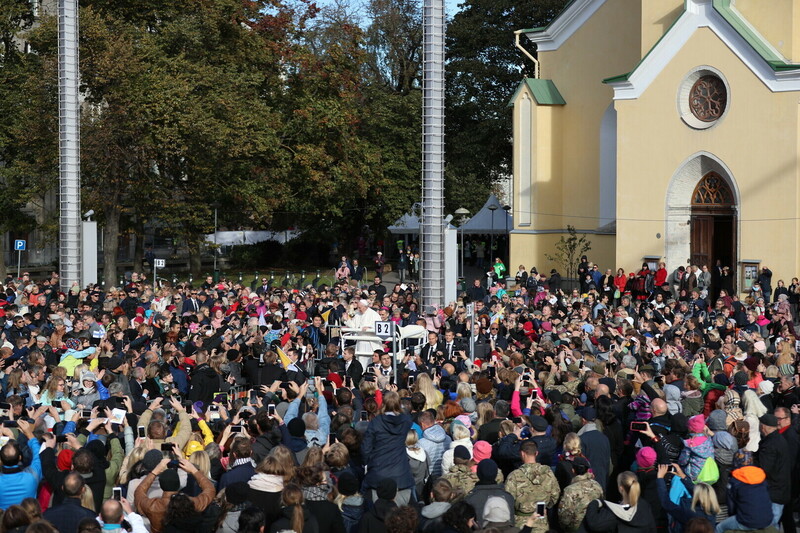 Peter and Paul Cathedral. 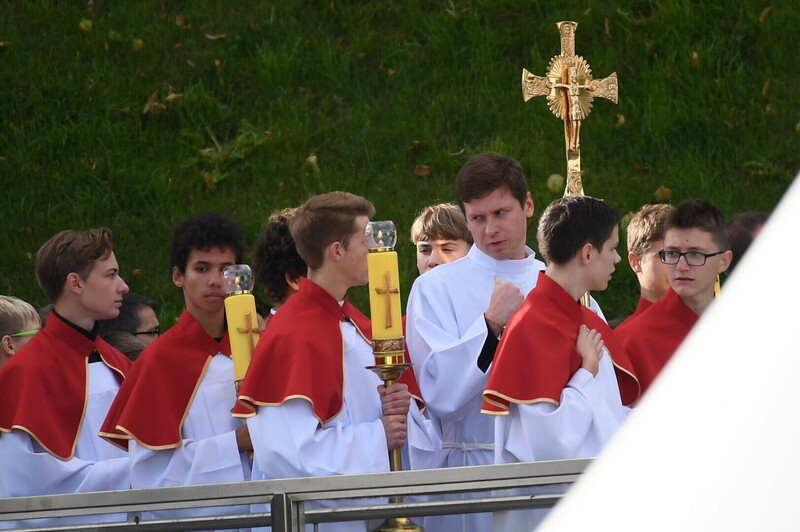 Holy Mass is to be celebrated at 16:30. 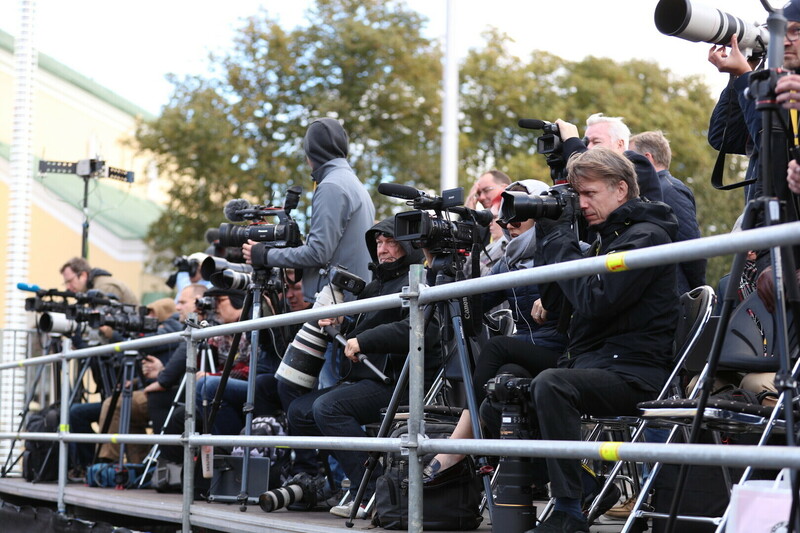 ERR News is broadcasting ETV's live feed directly on its homepage.